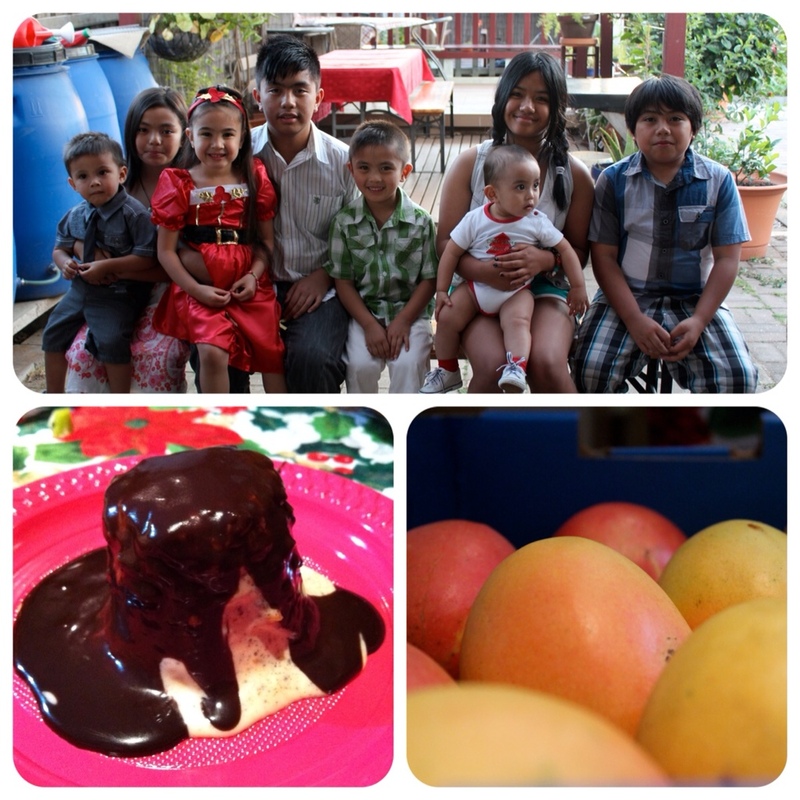 My three days of eating was full of not only food but was full of family, love and laughter. 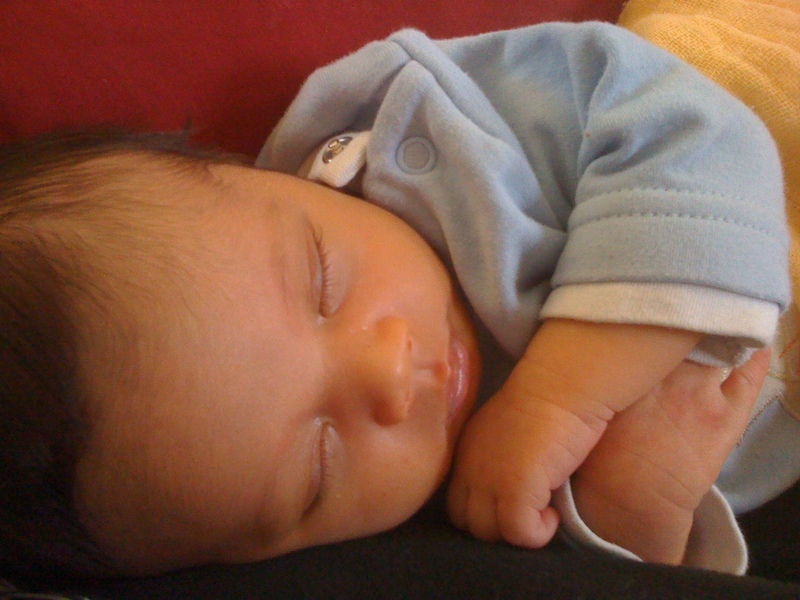 The past few months have been a really busy time. 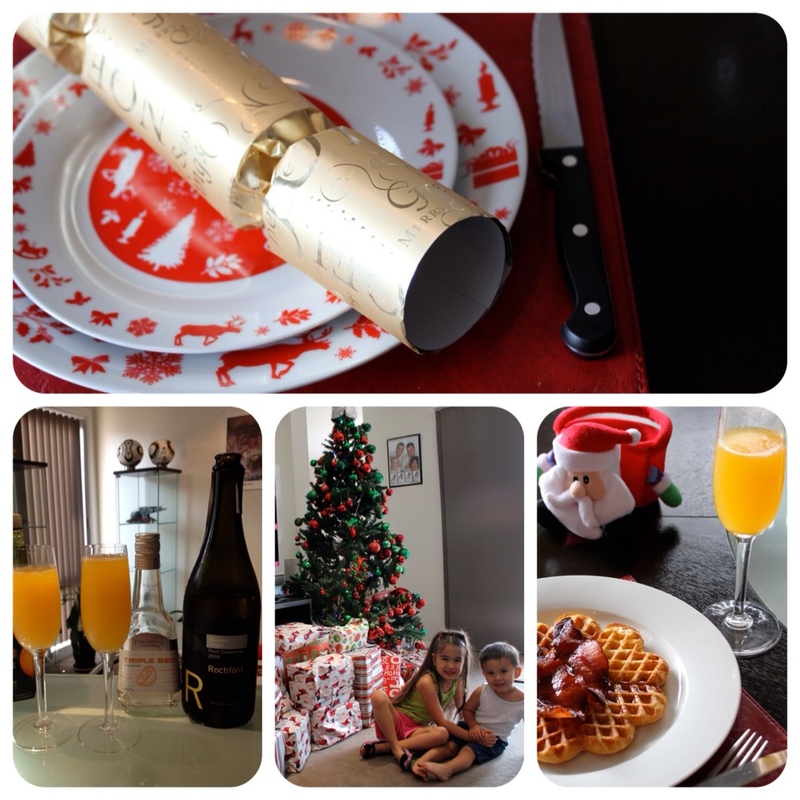 Christmas, this time has been dedicated to spending quality time with the family. Time goes so fast and I don’t want to miss any part of it. Working 7 days a week at the shop can make that a little difficult but I’ve learnt to make time for not only with my husband and children but also with my mum and dad. I hope everyone had a fantastic Christmas, just like me. My Christmas celebrations started a month before. I held my annual Christmas Cocktail party for family. You can see the post here. I started my Christmas baking two weeks before the big day. I wanted the house to be filled with the smell of Christmas. 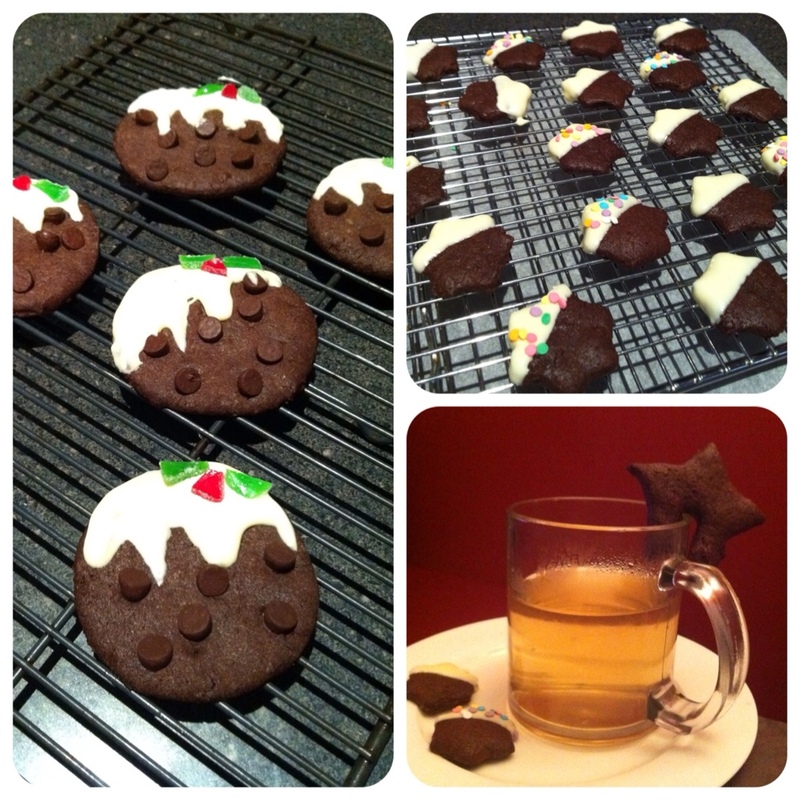 I found a recipe for cute mini chocolate pudding cookies. You can get the recipe here. With the left over cookie dough I made black and white cookies and tea cup cookies. 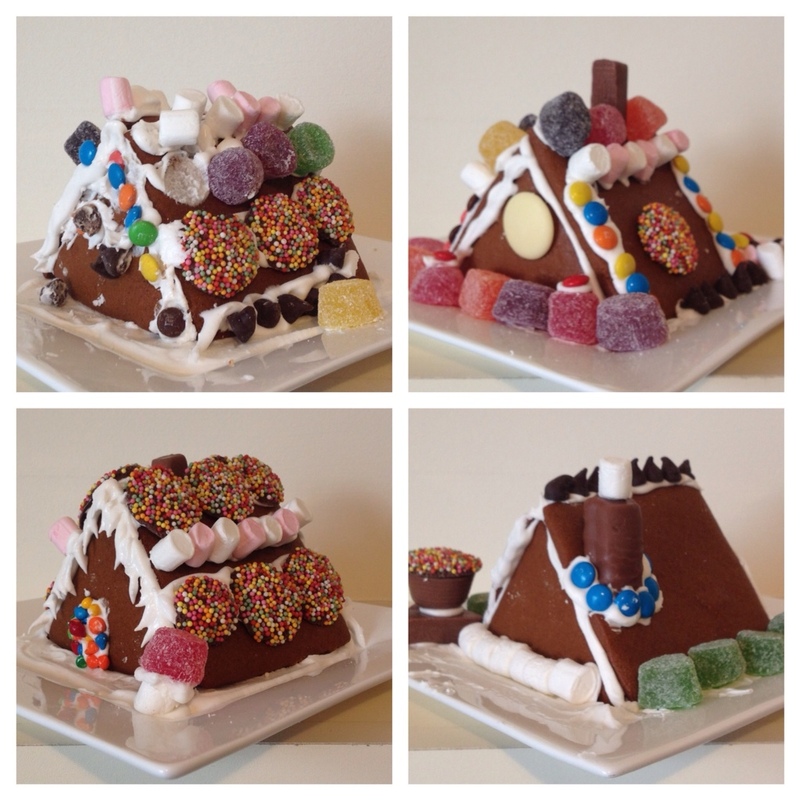 I made mini gingerbread houses for the family to decorate. I think the children did a better job than I did. 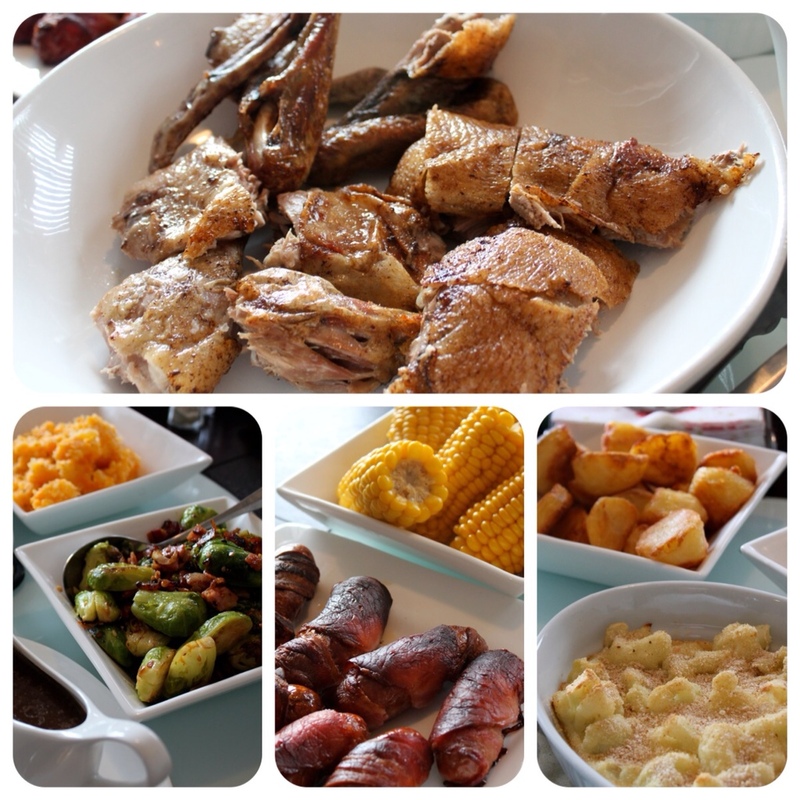 Noche Buena was held at my parent’s house. 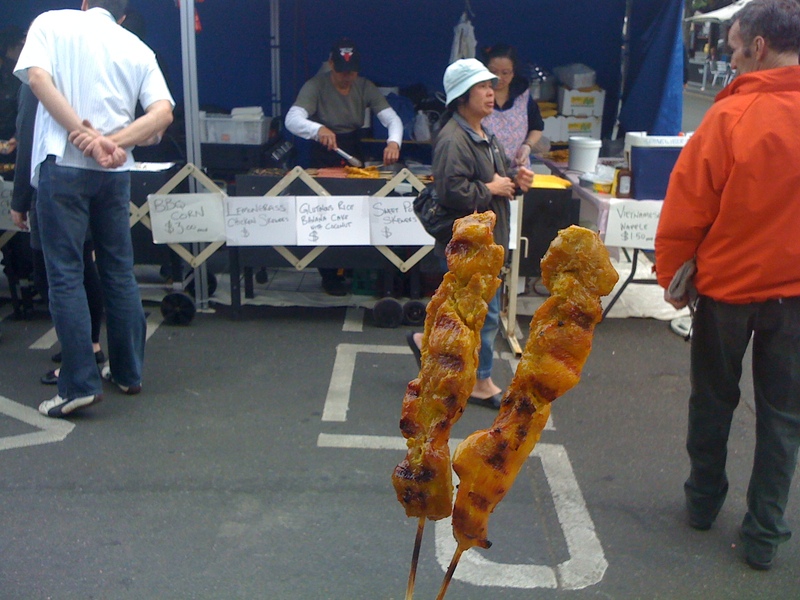 Dad worked hard on the barbequed lamb, pork and pork tocino (sweetened cured pork) and all was beautiful and delicious. 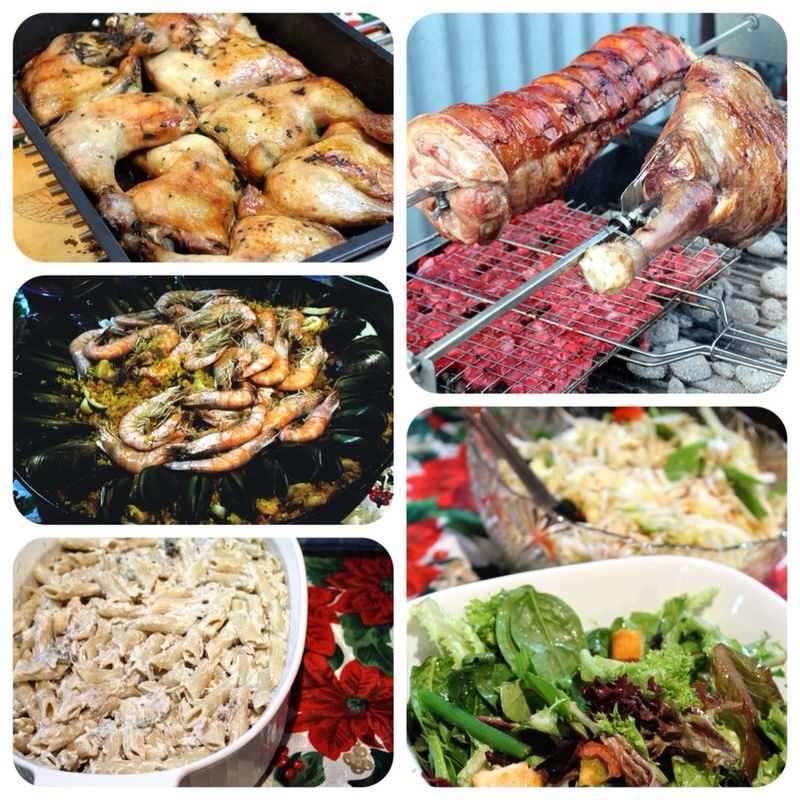 Mum also had roasted chicken maryland and cooked up an amazing paella. Sis in law and I made salads to complete the feast. For dessert, my cousin brough along a box of sweet mangoes. Sis in law made a delicious chocolate and honey cashew bombe wtih mocha sauce. 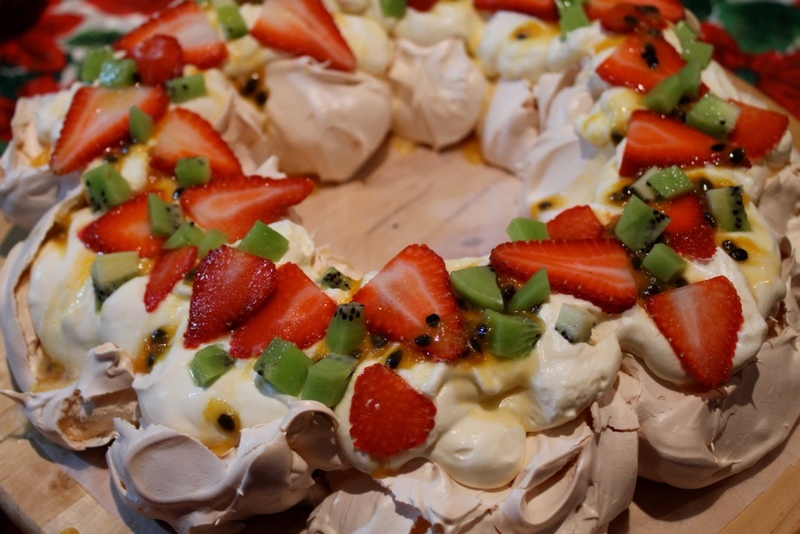 My contribution was a Christmas Wreath pavlova. I got the idea from Donna Hay’s Magazine, Christmas issue however, I decorated mine with fruit with Christmassy colours. After the children opened their Christmas stocking presents, we started the day off with waffles with crispy bacon and maple syrup. 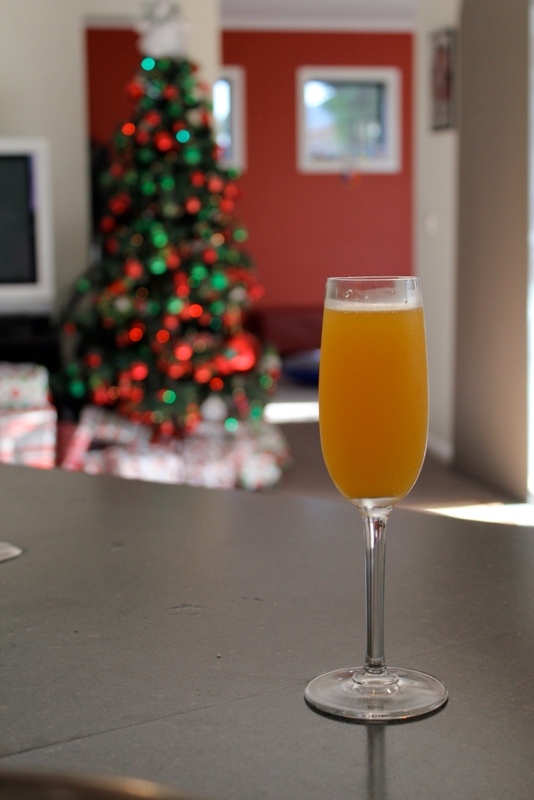 Hubby made a buck’s fizz for me to drink while I cooked up breaky. The chidren then opened up their main presents. Santa was very kind to them this year. To see some of their presents, you can go to Deanna’s blog post here. For our Christmas lunch, we had goose. 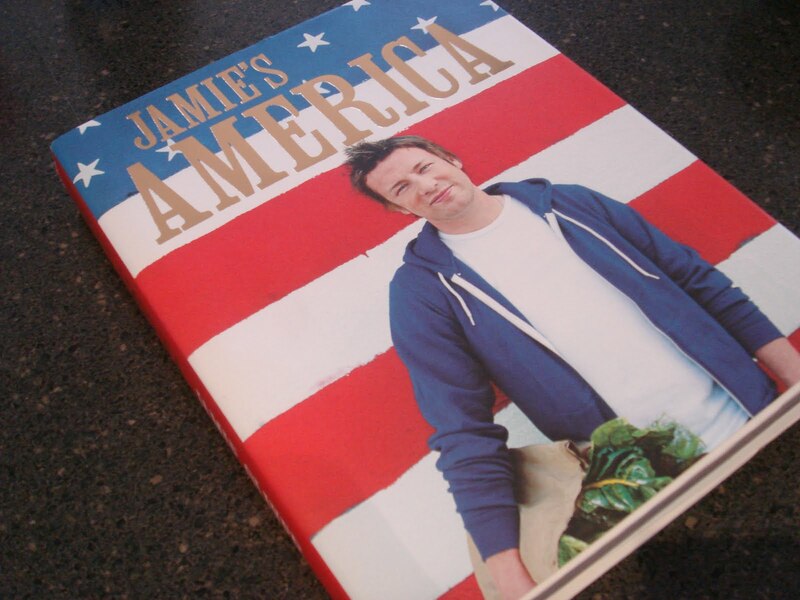 I used Jamie Oliver’s recipe. So easy and so tasty. Our sides consisted of roast potatoes cooked in beef dripping, cauliflower cheese, corn cobs, pigs in a blanket, mashed swede and carrot and brussel sprouts with bacon. Needless to say, we were completely full after our lunch. For dessert, we had choc-honeycombe ice-cream pudding. A quick and easy cake, I adapted from super food ideas Magazine, December issue. 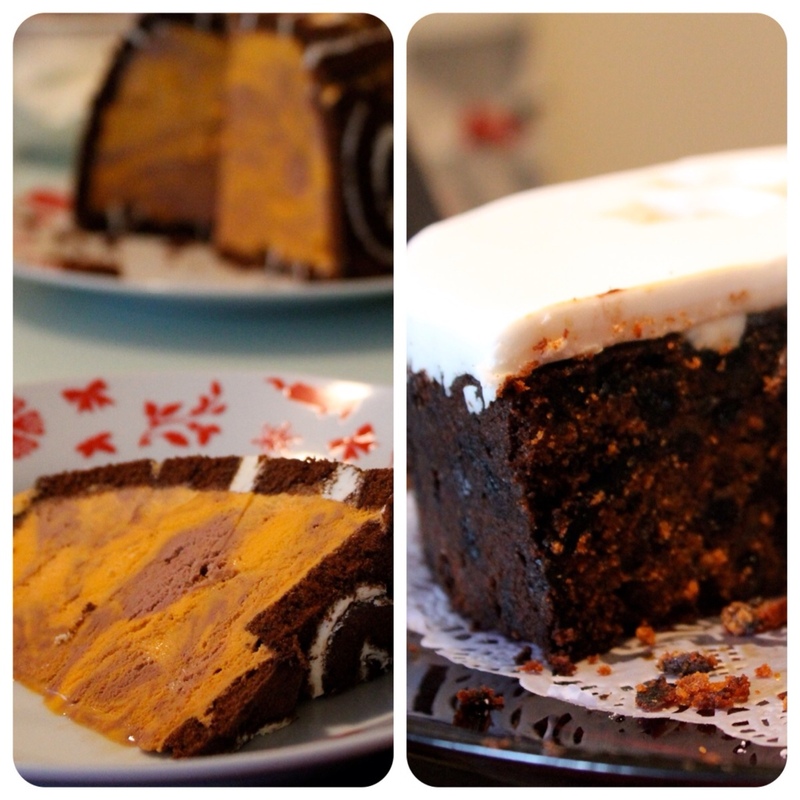 Hubby also had my Christmas cake which I started 2 months ago. It’s the usual recipe I use, which you can get here, but I added chocolate chips to this one just to change it up a bit. 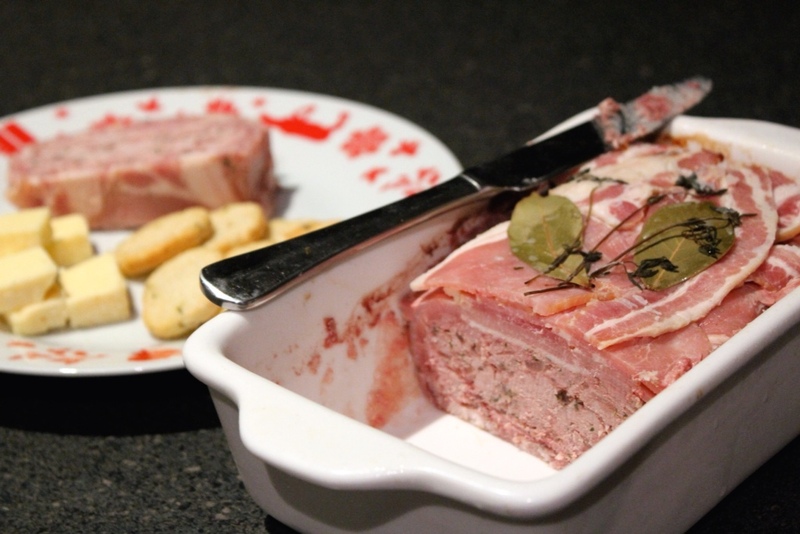 For late supper, we had my home made country pate with Cheddar cheese and crustini. I made the pate about 4 days before. 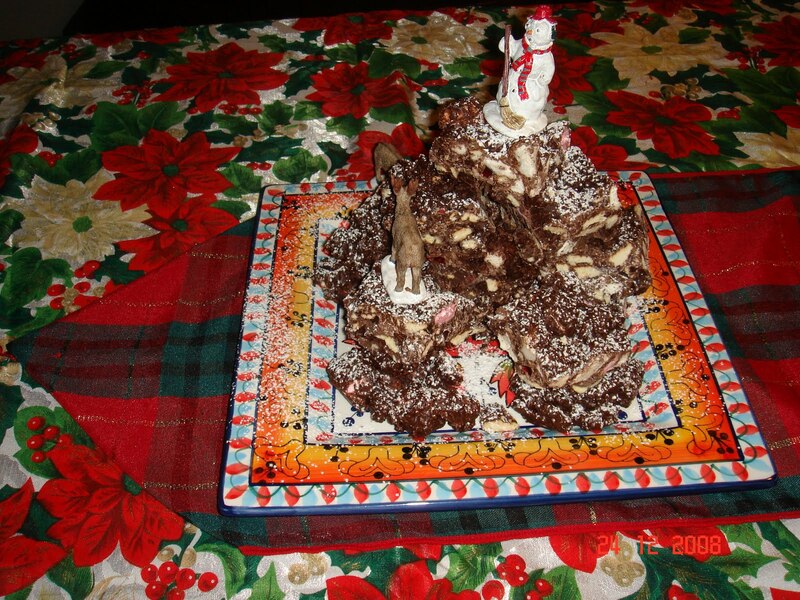 I try to make this every Christmas so it’s sort of a Christmas tradition in my house now. Boxing day is traditionally spent at my mother in law’s. 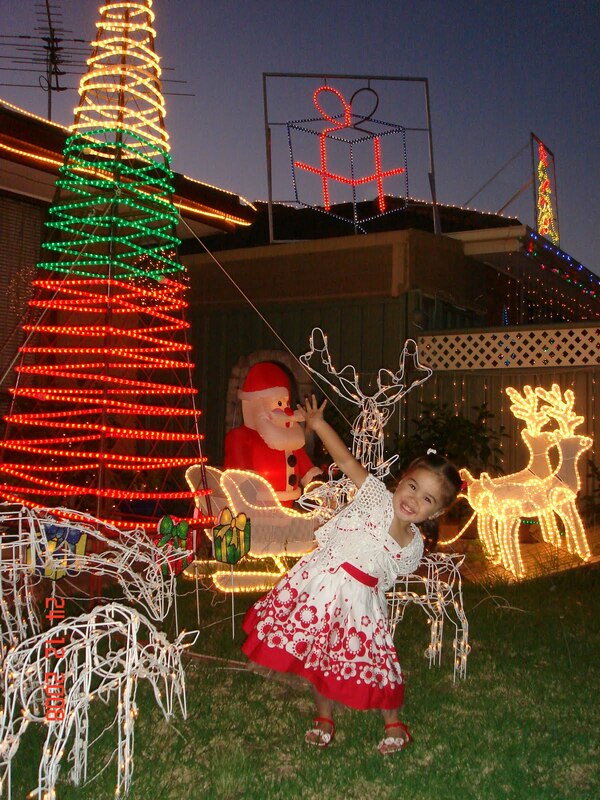 As we don’t get to see her on Christmas day, the Moore families head over to her house to celebrate a late Christmas. 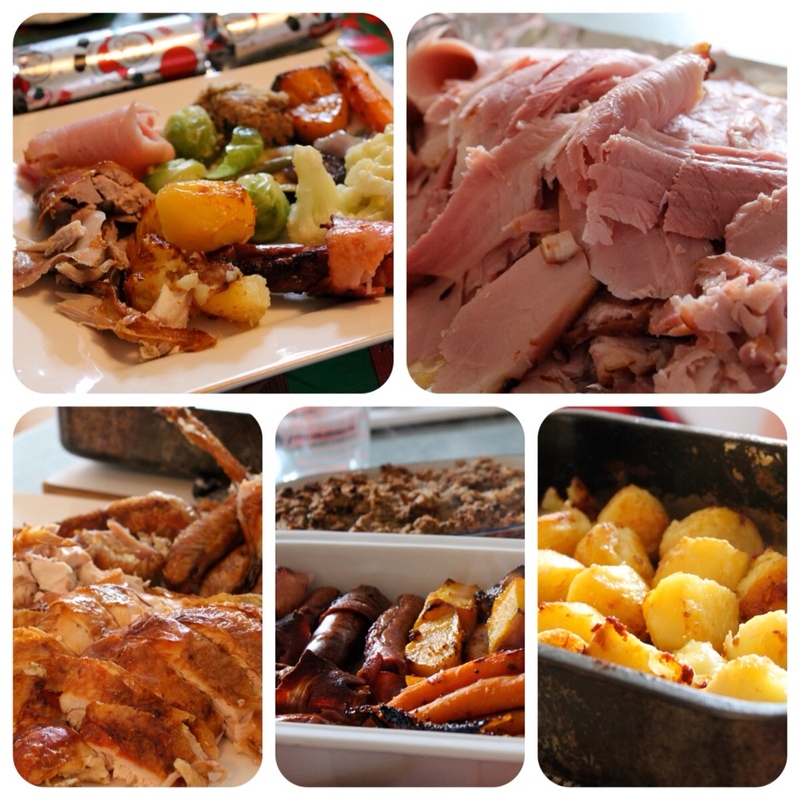 She put on a lovely spread of roast turkey and ham, assorted roasted vegetables. As usual, we go home with full bellies. For dessert we had a mango cheesecake and a pavlova. Yum. 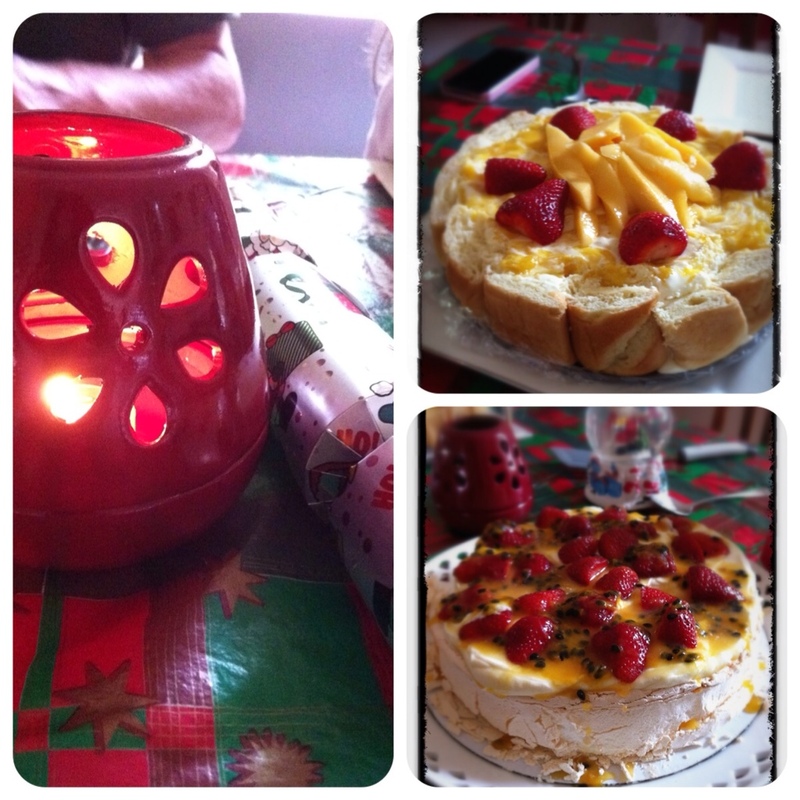 As you can see my Christmas was fabulously filled with delicious food and fantastic company. I hope yours was the same. 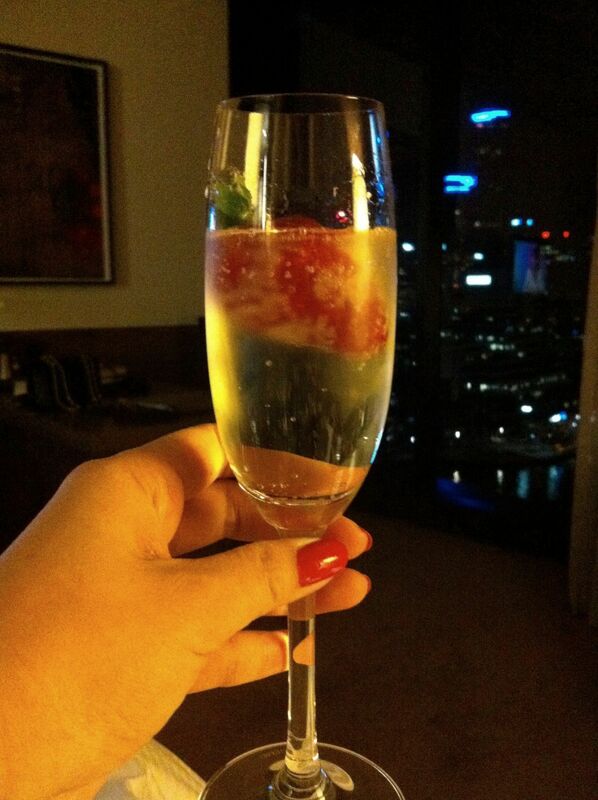 For my birthday this year hubby booked us a room at the Hilton Hotel South Wharf. The last Hilton hotel we stayed at was the Beverly Hilton so it had a lot to live up to. 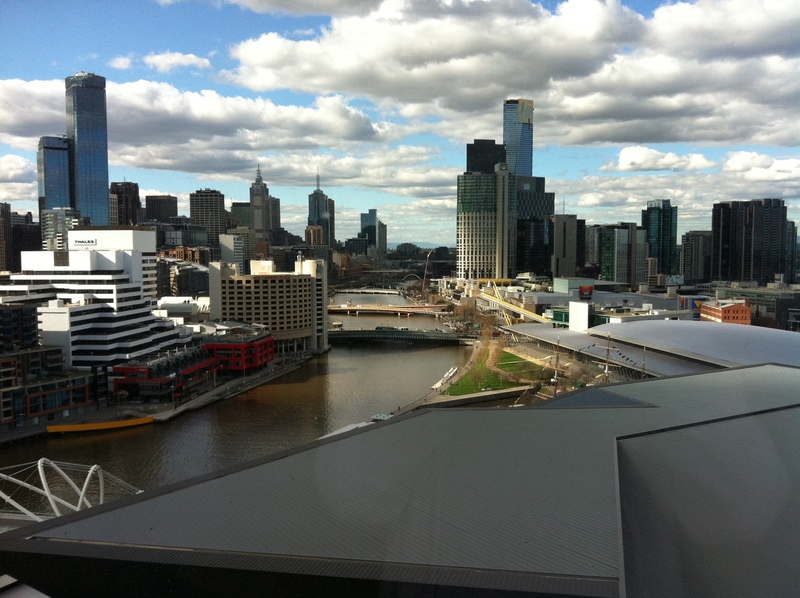 The hotel itself is situated in Melbourne’s newish South Wharf precinct; overlooking the Polly Woodside and Yarra and right next to the DFO (shopping!) At check-in we were told our room had been upgraded to a King Delux offering city views, which as you can see, were quite magnificent. The room itself was spacious and included an LCD TV offering all FTA channels plus Fox 8, News & Sports, as well as a King Sized Bed with Pillow Menu. This allows you complimentary pillows of your choice to suit your needs. The bathroom area was especially opulent and included a shower that can accommodate two comfortably. 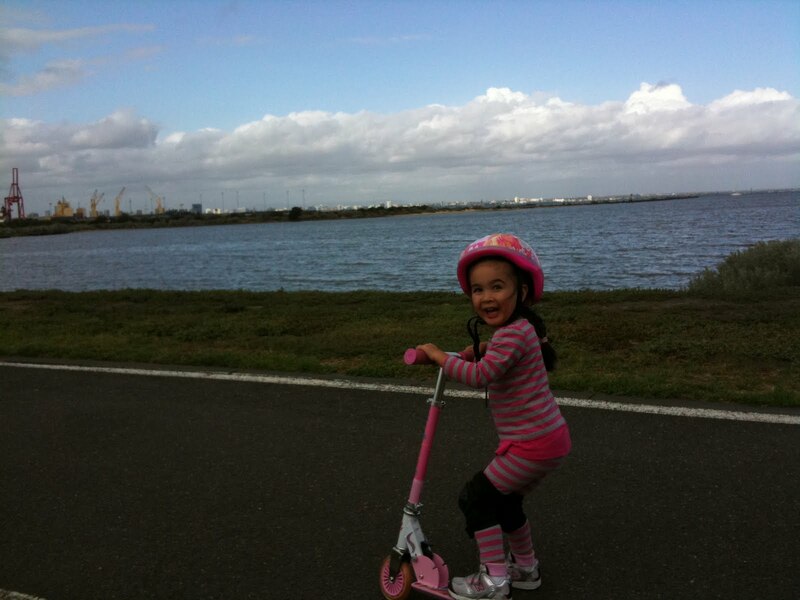 After check-in we had a leisurely walk into the city enjoying the sites. It’s nice to be a tourist in your own city sometimes. We somehow ended up at the new Zara store where hubby brought me a few more birthday presents. We couldn’t believe how busy it was still; 10 minute line just to try on the clothes! 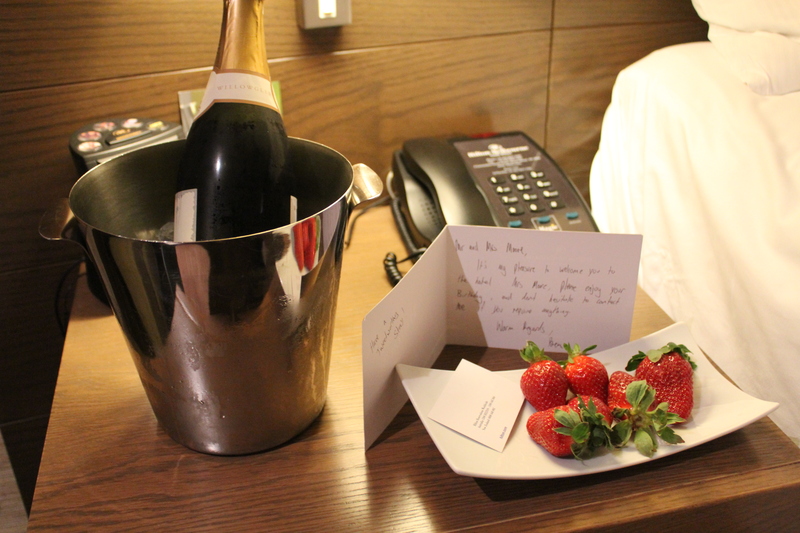 Still, it was worth it 🙂 We caught the city circle tram back to the hotel and upon arrival was greeted with complimentary champagne and strawberries courtesy of the reception manager Ben – thanks again! After finishing our champagne we headed down to Nuevo37 for dinner. 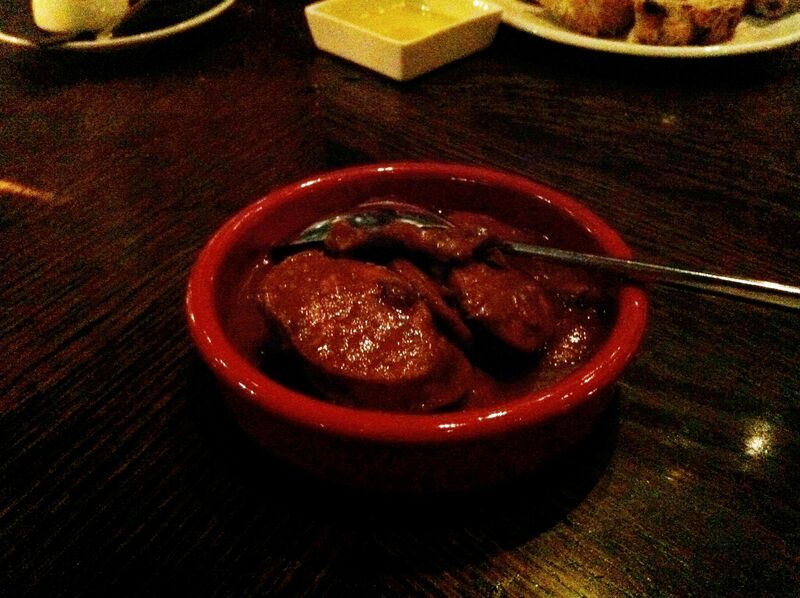 The restaurant is kind of located just outside the hotel but you can get to it via the hotel’s Sotano wine + tapas bar. 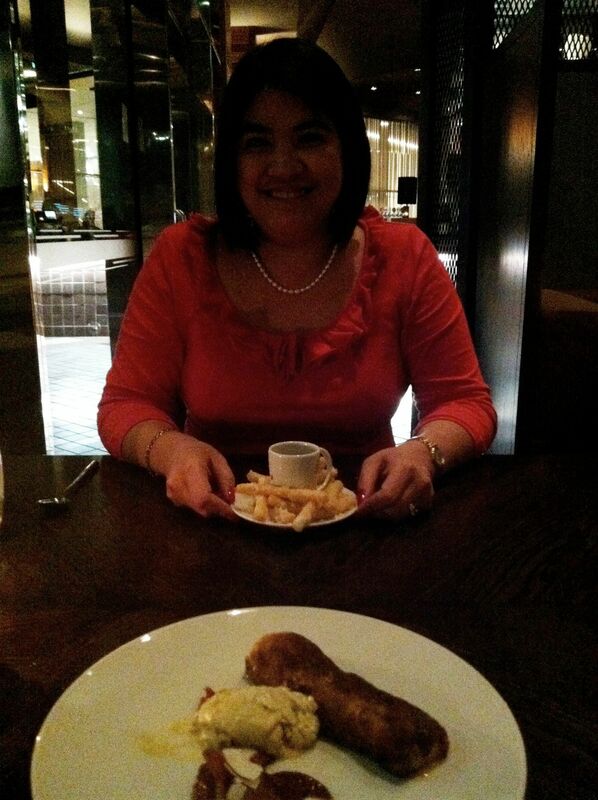 Neuvo37 has a great ambience but it wasn’t conducive for great photos so apologies for the pic quality – it doesn’t do the food justice. 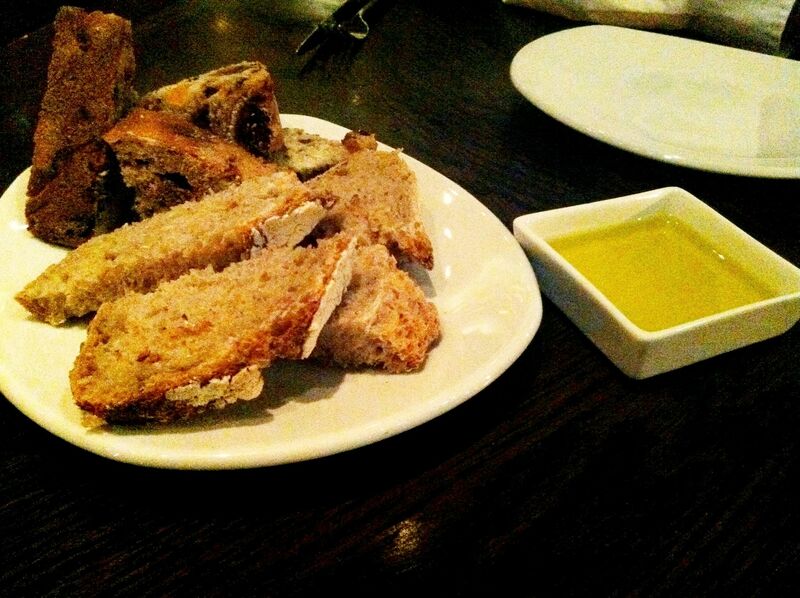 Like most restaurants bread was brought first but at Neuevo37 the selection was a little bit more unusual – they offered a fruit & nut loaf for example. 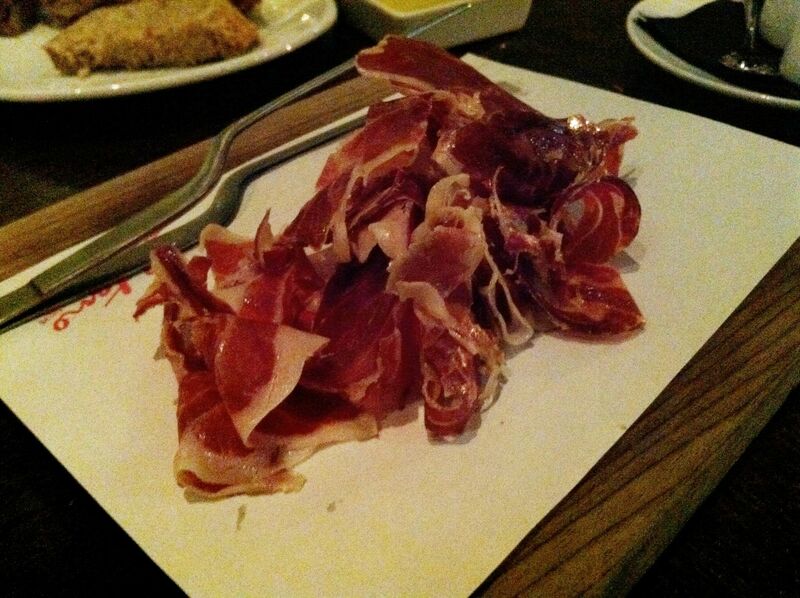 For entrée I had the jamon (served with a pair of space-age tweezers) and hubby had the beef & chorizo stew. Both were amazing and perfect sized portions. I find some restaurants are tending to serve such large meals these days which makes it difficult to enjoy the whole meal. I much prefer quality over quantity. 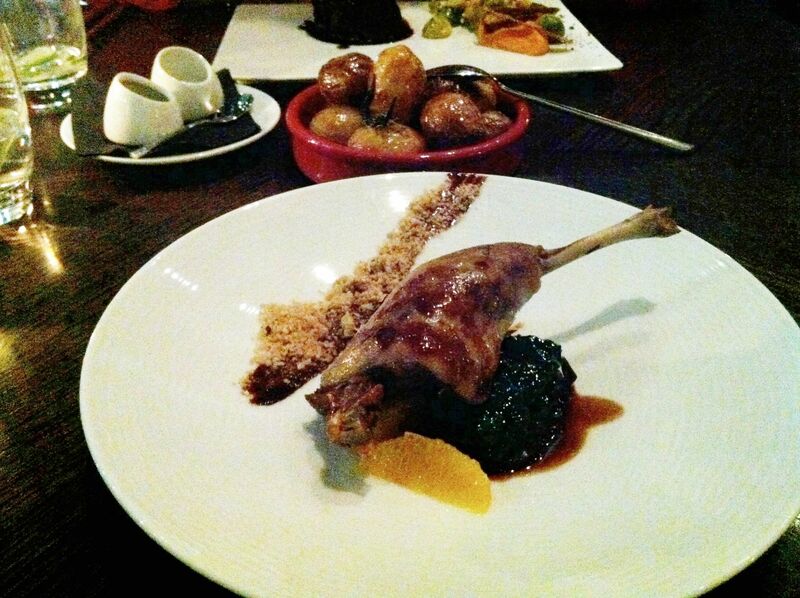 For mains hubby had the duck confeit which was served with a chocolate and hazelnut smear. 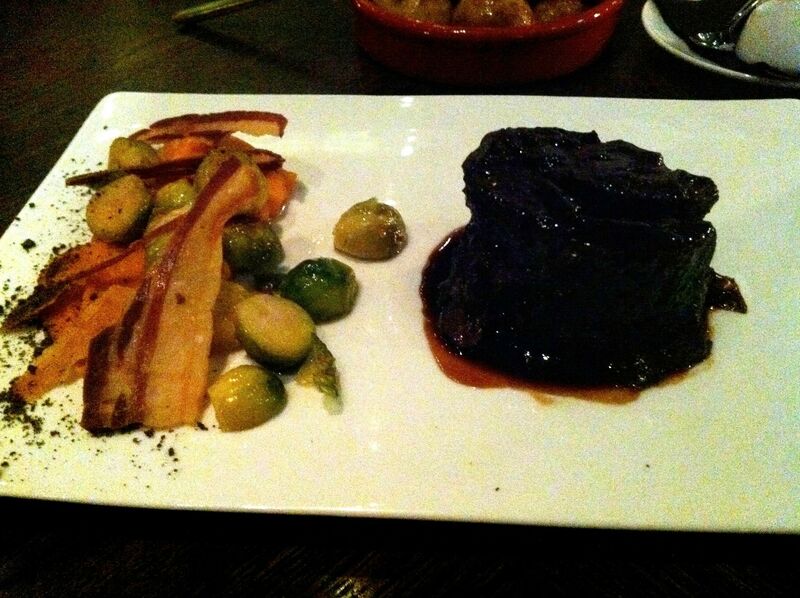 I had the Braised Wagyu beef cheeks with sweet potato, and brussel sprouts. 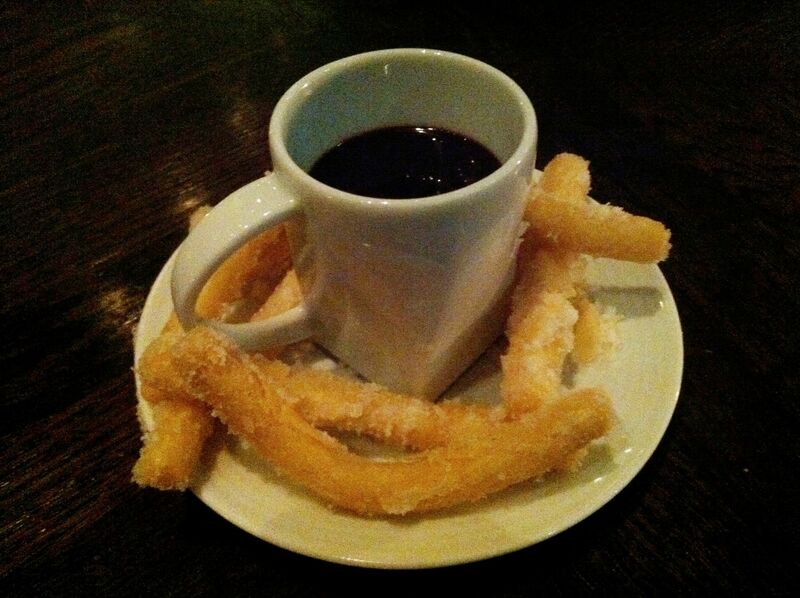 For dessert I had the hot chocolate and (best ever) churroz and hubby had the bread pudding. He said it wasn’t quite as good as @ChefMrWilson’s but very close. The next morning we headed back to Nuevo37 for breakfast. I could go on and on about the variety of foods served then (fresh honeycomb & honey anyone?) but I’ll leave that for you to explore. Overall it was a magnificent birthday & I know we’ll be back at the Hilton; sooner rather than later hopefully. 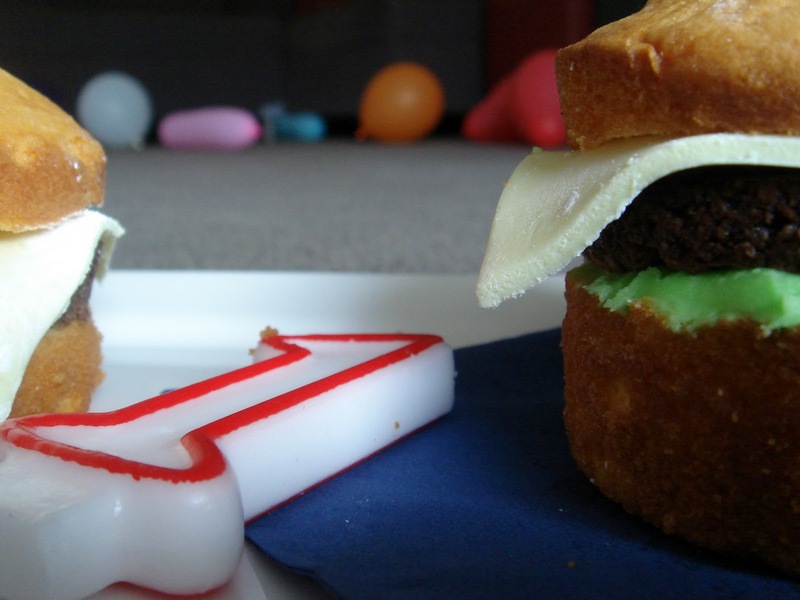 I decided to make Hamburger cupcakes for him. I saw these more than a year ago and have been wanting to me them since. I made them last week for my nephew/Godson. You can see pics here. 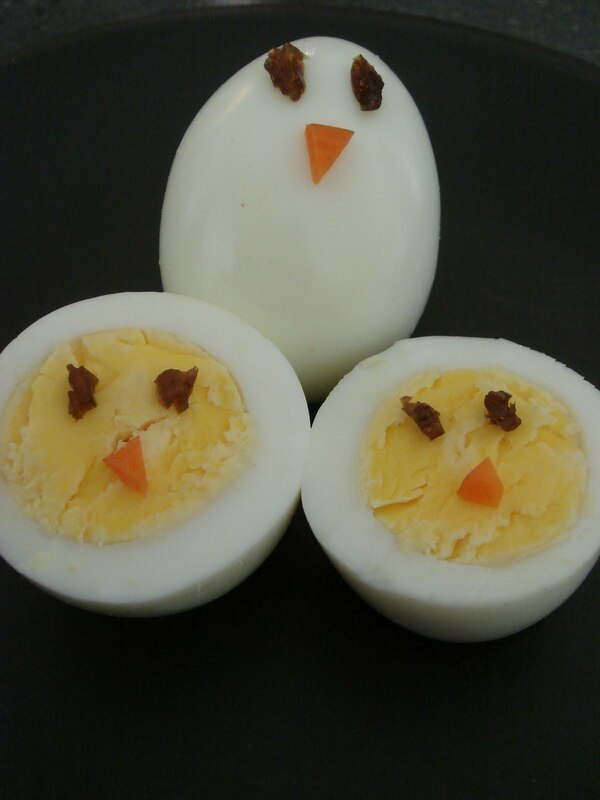 Hubby suggested that I make them again for Thomas this week. 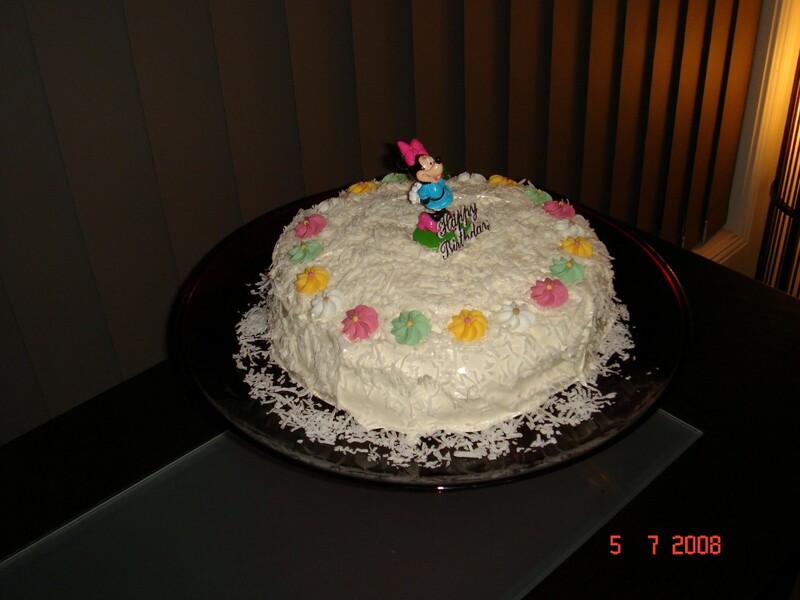 I made it easy on myself and used cake mixes and pre-made fondant icing. 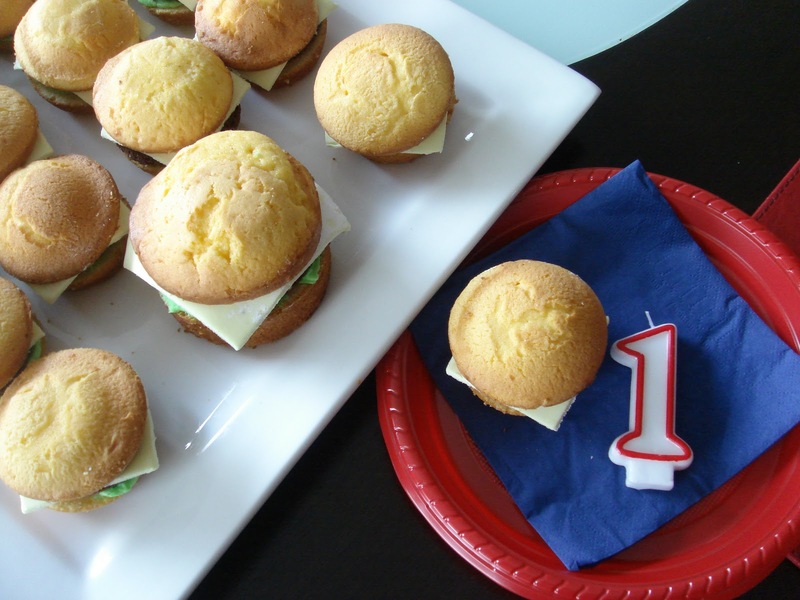 I used orange flavoured cake for the buns, brownies for the meat pattie, butter icing coloured green for the lettuce and strawberry jam for the tomato sauce. 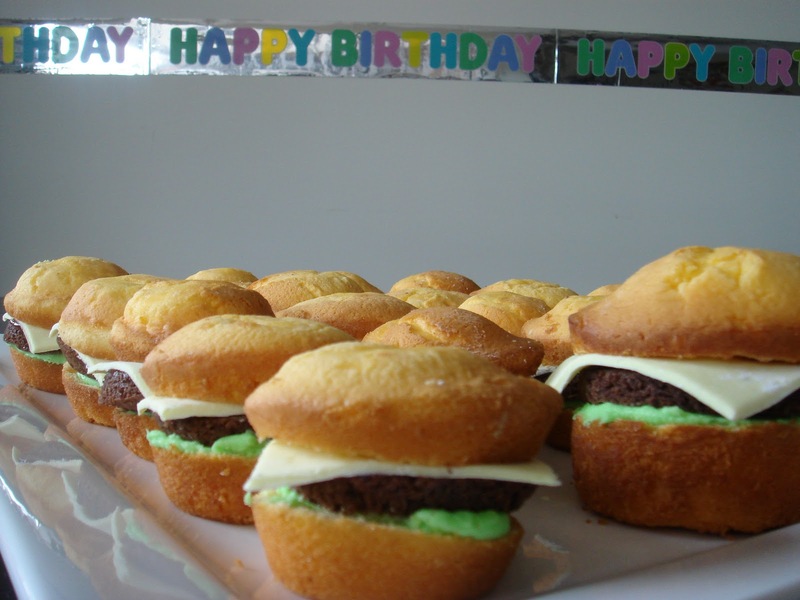 By all means, make your cake from scratch along with the icing but the assembling the “hamburger” was the enjoyable part. It was fun to make but the best part was seeing people’s faces when the cupcakes were revealed. I made a larger one for my son’s first taste of cake. He managed to eat most of it. It was joy to watch. 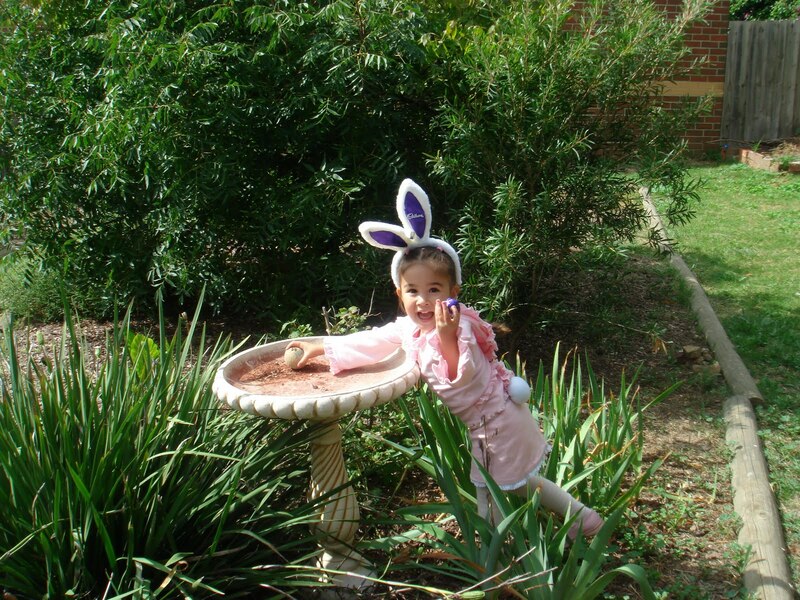 This year, Easter was quite a hectic long weekend. I had so many plans of baking and cooking up a storm but unfortunately, time got the better of me and didn’t end up doing anything I had planned. Good Friday was spent at my Mother-in-laws for lunch. 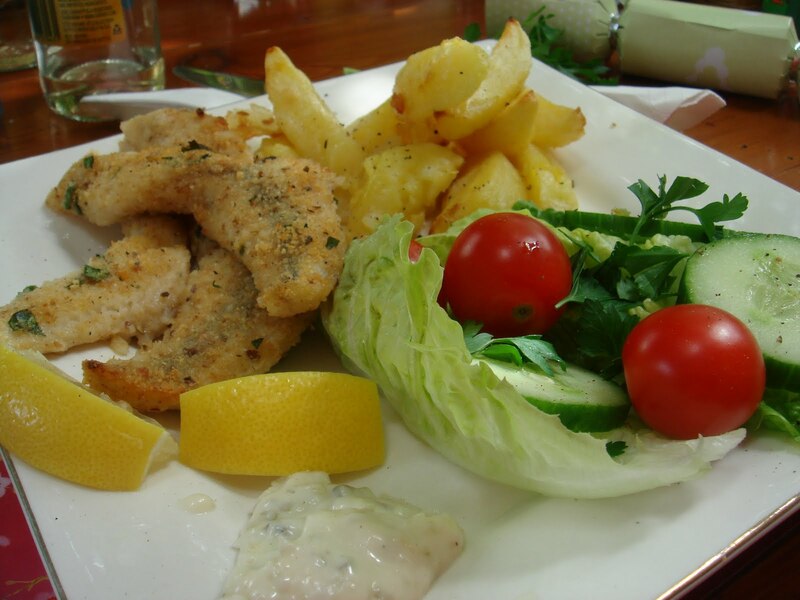 Gourmet fish and chips was on the menu. It was light and delicious. Deanna managed to find a basket full. 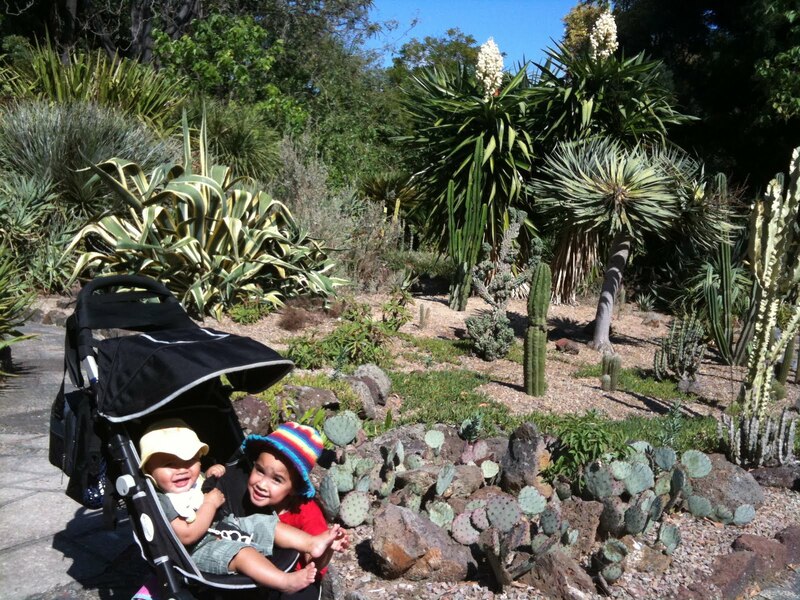 It has lately been tradition to spend the evening of Good Friday at the Botanical Gardens with my family. 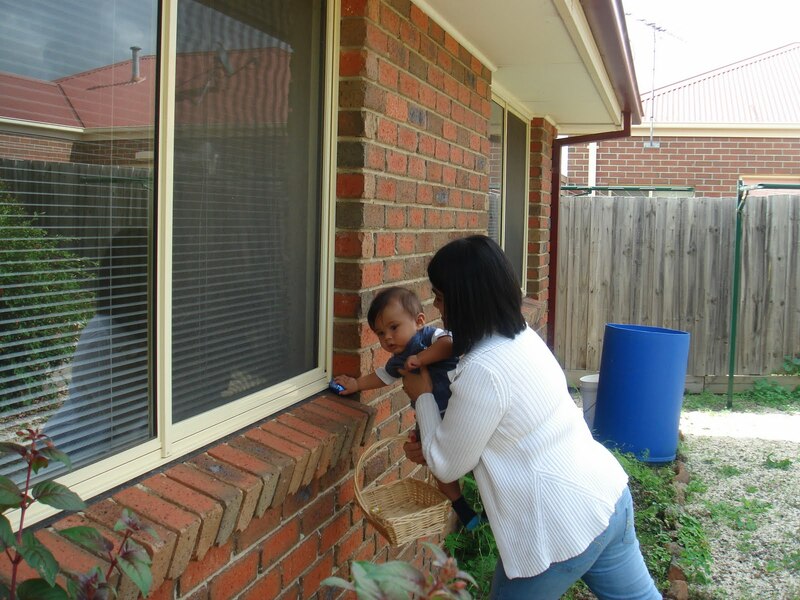 However, my brother, @MrEd2U and family spent the long weekend at Rosebud. 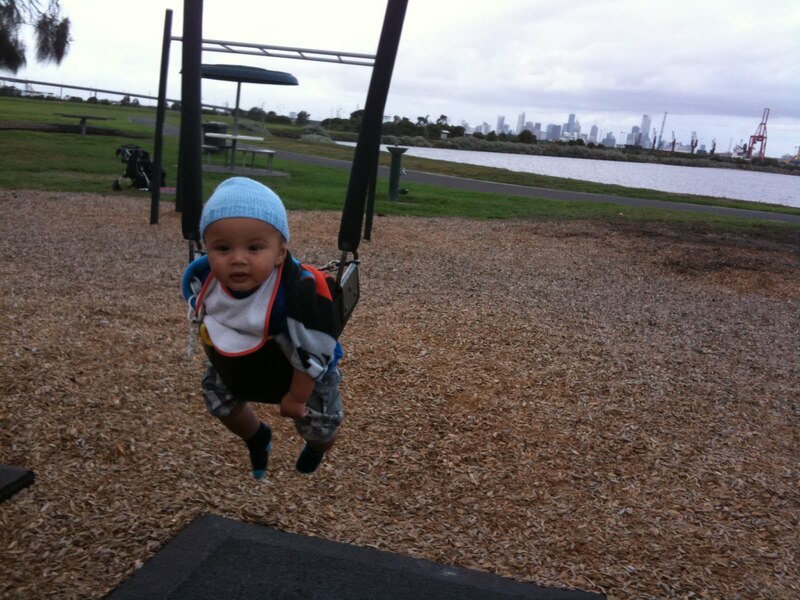 So we took my parents out to Williamstown for a walk and dinner. We had dinner at Williamstown Mussels. My brother raves about this place so we wanted to try it out for ourselves. When we got there, there was only one person in front of us and we were told the wait will be 15 minutes. I thought the wait wasn’t too bad. After ordering, the queue became a lot longer. In fact, it was out the door. I bet the wait would have been at least 30 minutes at that point. My verdict? 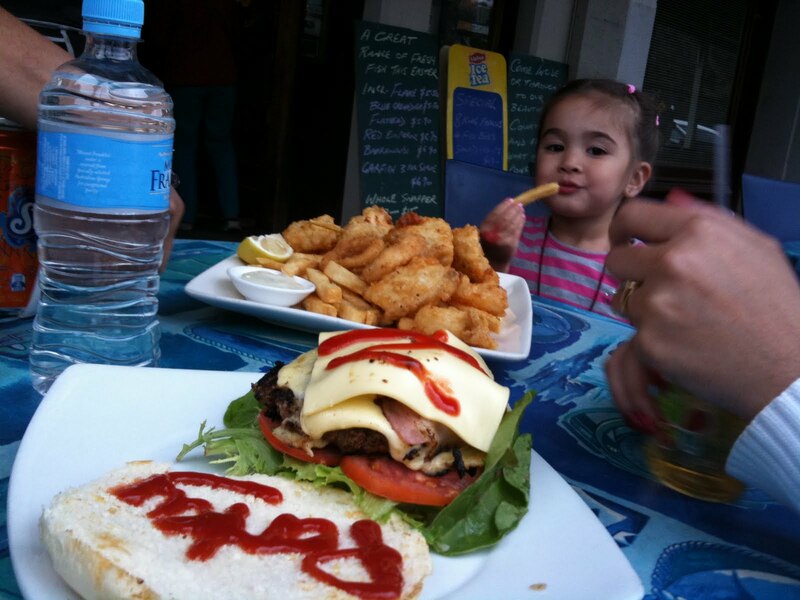 We enjoyed the fisherman’s basket and Hubby enjoyed his “Porky Burger” The fish was fresh and the batter was light and crispy. 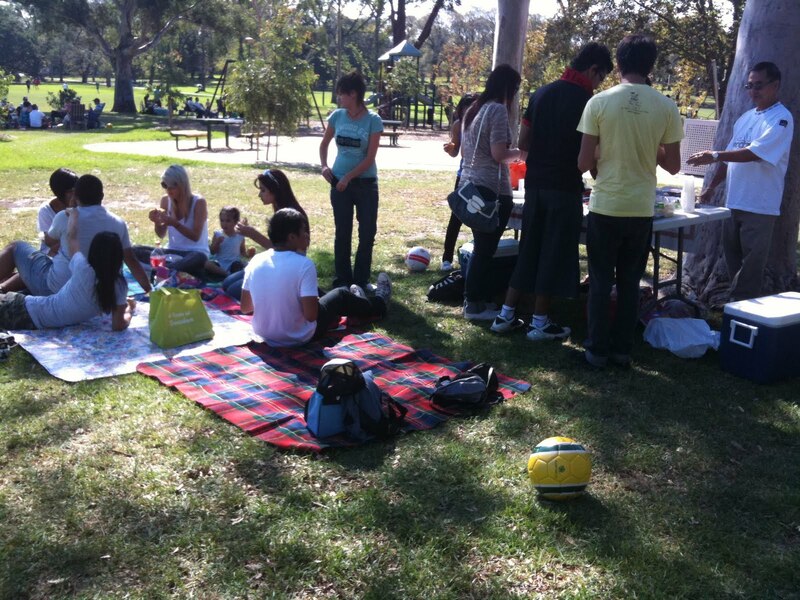 Easter Sunday was spent at Fawkner Park in South Yarra, celebrating our Nando’s store’s 3rd Birthday. 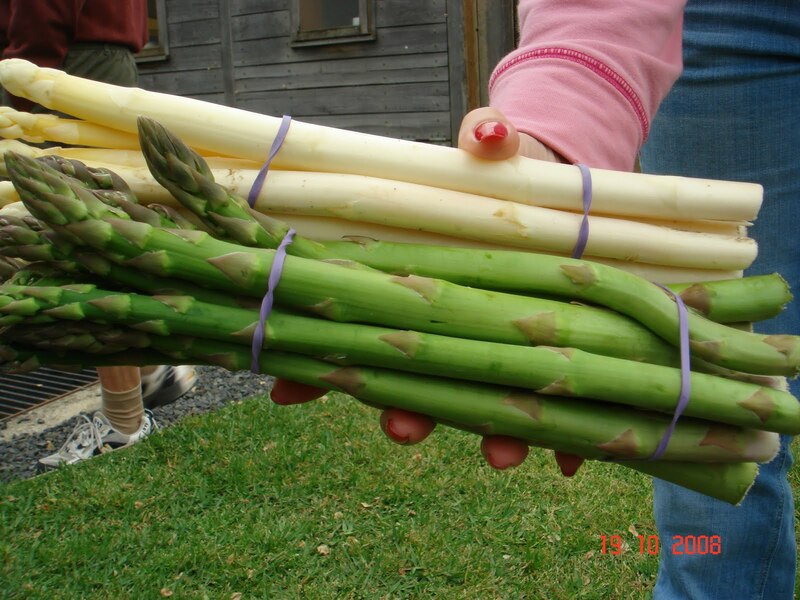 We also celebrated a great year in 2009 where our store is ranked 3rd in Victoria. 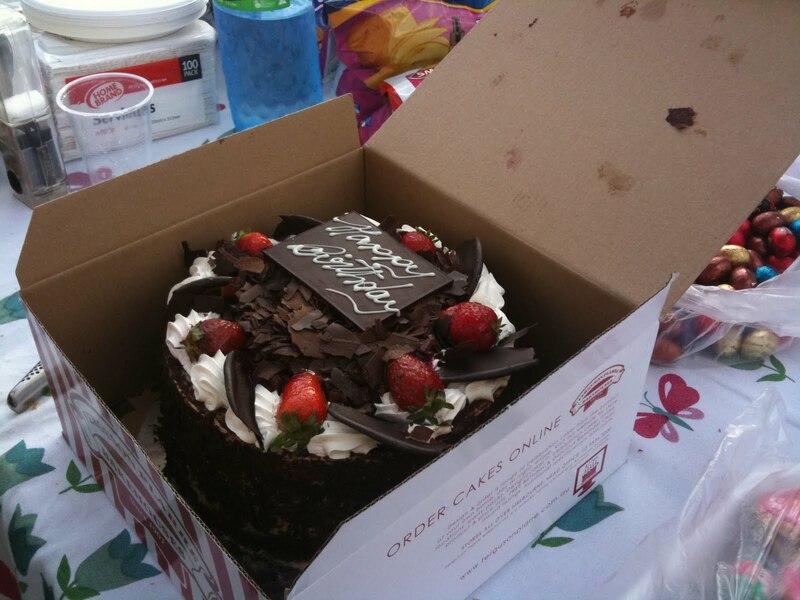 The staff that attended were treated to tasty make-your-own sandwiches and a Black Forest Birthday Cake. Entertainment came in the form of one of the staff playing his guitar and another staff singing, making words up as he went along. It was quite entertaining. After lunch, we played a game of soccer. We were so tired after that so we decided to just take it easy the rest of the afternoon. 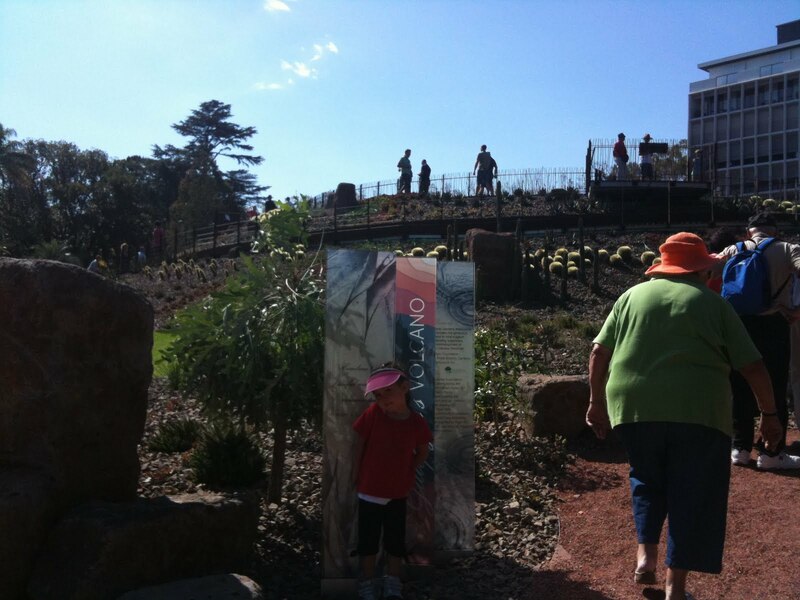 On Easter Monday, we took the children to the Royal Botanical Gardens Melbourne where Guilfoyle’s Volcano was opened to the public. It was originally built in 1876 and stored water for use in the Botanical Gardens but has been closed for 60 years. As you can see, the long weekend was full of activity. I vow to bake and cook up the storm that I wanted to, next year… hopefully. 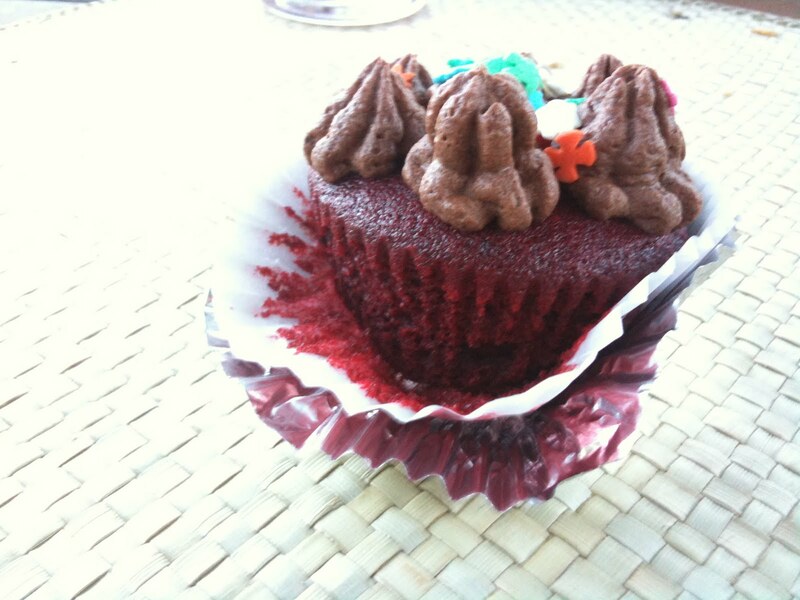 The buzz about red velvet cupcakes are in the air. I’ve never eaten one or even seen one. So I had to see what the fuss was all about. I thought making red velvet cakes will be perfect for Valentines Day and for this week’s theme for the cook book challenge: Love. After all, red is the colour of love, isn’t it? Hubby and I don’t really celebrate Valentine’s Day though I have received roses some years in the past. This year we celebrated it with my brother, @mrEd2U and his family. The only thing that I was worried about while baking these little beauties was if it will turn out red enough. 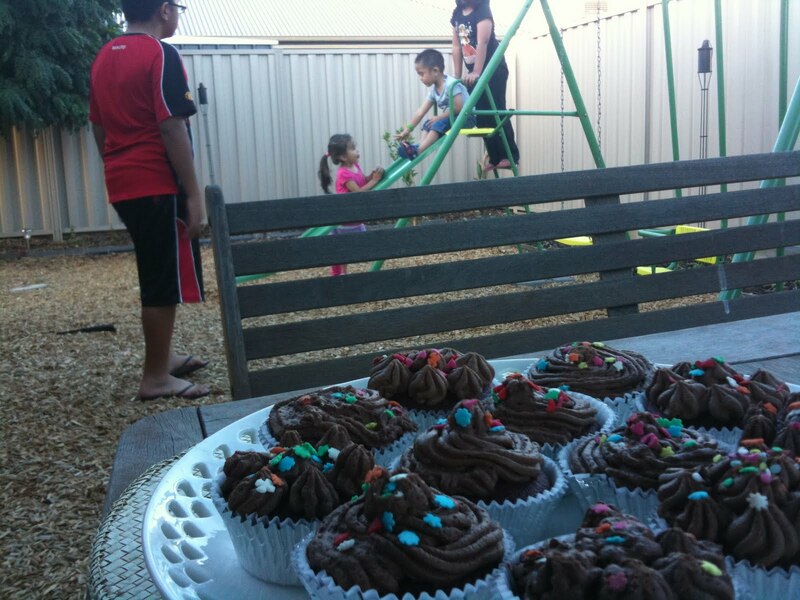 I have read blogs where they had problems with the colour where the cupcakes turned out more brown than red. I had red food colouring in the pantry but was one of those cheapo ones that come in a pack of 4 with 3 other colours. To make sure, I went out and bought a proper red food colour. 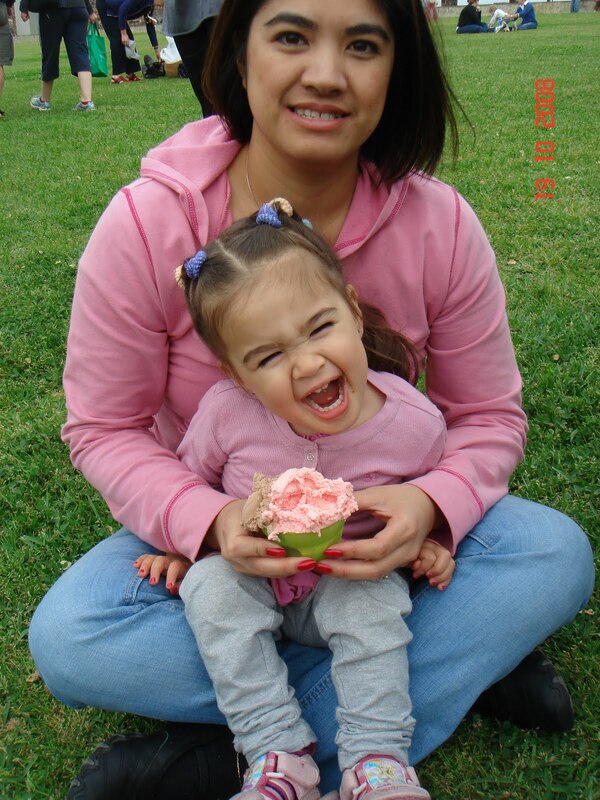 From the photo below, you can see that colour of the cupcakes turned out just fine. I made this a family affair and let my 3yo help decorate it. For the frosting, I opted to use a chocolate ganache and not the frosting included in the cook book recipe. I loved how it turned out. It was, like it’s name, velvety. It was light and airy. 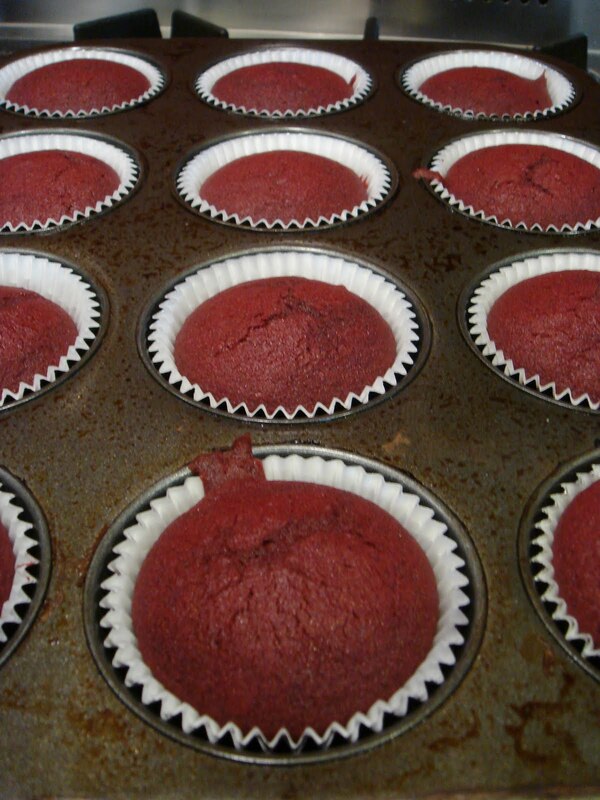 Preheat the oven to 180degC and line a 12 hole muffin tin with cupcake cases. Using an electric mixer cream your butter and sugar together until light and fluffy. Gently beat in the egg, a pinch of salt, the vanilla extract and the red food colouring. In a separate bowl, mix together the cocoa and plain flour and fold half of it into your butter mix, followed by half the buttermilk. Repeat with the remaining flour and buttermilk until you have a smooth mixture. In a small bowl, mix your bicarb of soda and white wine vinegar together so it fizzes up, and stir this into your cake mix. 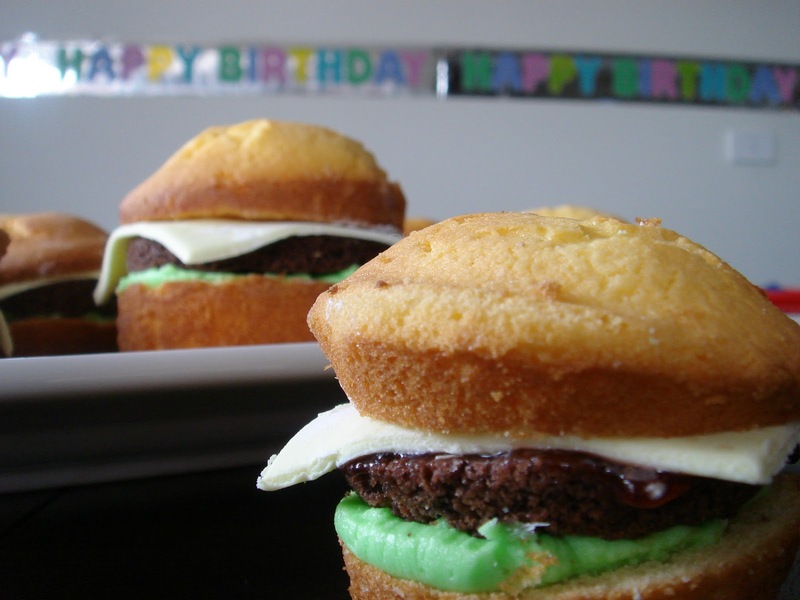 Divide the mixture between your cupcake cases and bake in the oven for 20 to 25 minutes. To check they’re cooked through, insert a skewer into the centre of a cake- if it comes out clean, they’re perfect, if not just pop them back into the oven for another couple of minutes. Leave them to cool for 5 minutes in the tin, then transfer to a wire rack to cool completely while you make your frosting. Place the chocolate in a large bowl. Heat the cream on medium heat until it comes to a boil. Remove from the heat and pour into the chocolate. Stir till completely mixed. 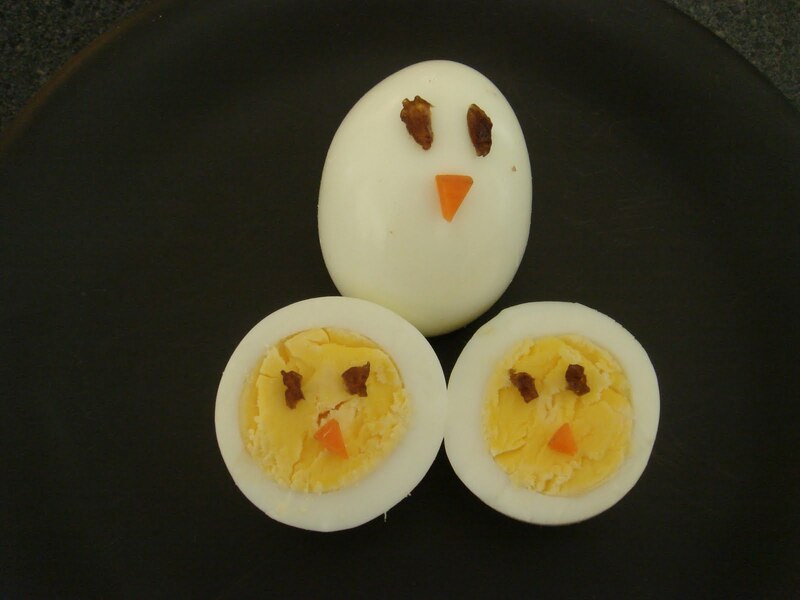 Cool completely by placing in the refrigerator. When cool, whip using an electric beater. Whip till you get the desired texture. 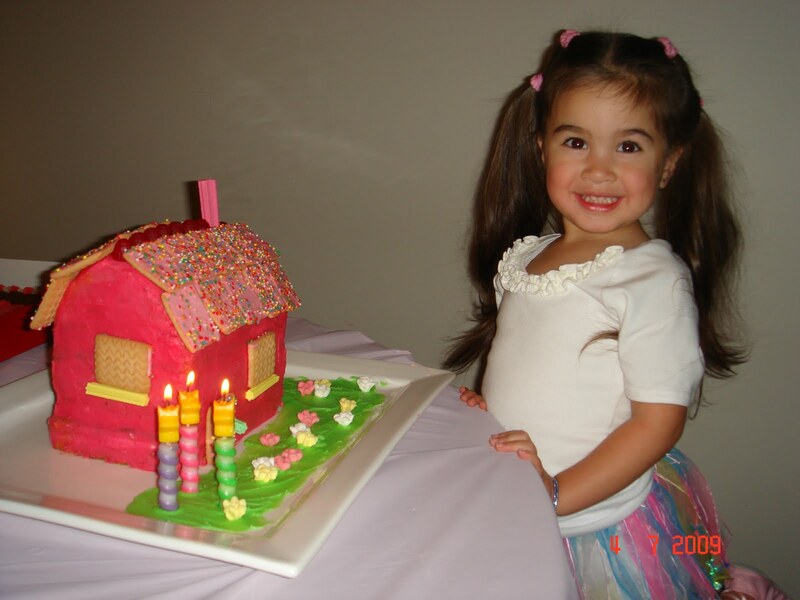 It’s been a busy year..
Deanna’s 3rd Birthday. I baked and decorated her birthday cake. I got the idea from a book called “30 minute kids cakes”. The birthday girl help decorate it. Mooncake Festival 2009 at Queen Victoria Market. 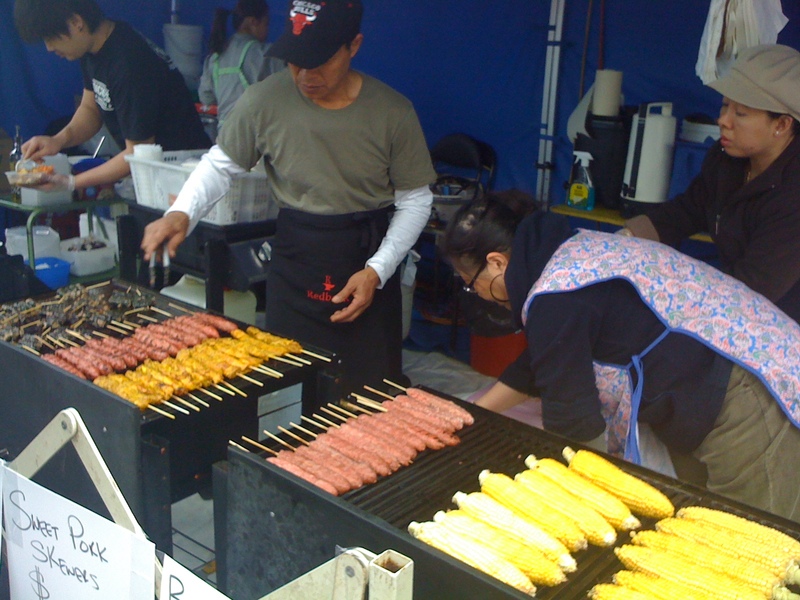 It was actually quite disappointing as there were only a number of food stalls. There weren’t a lot of choices but we were all hungry so made do with what was there. 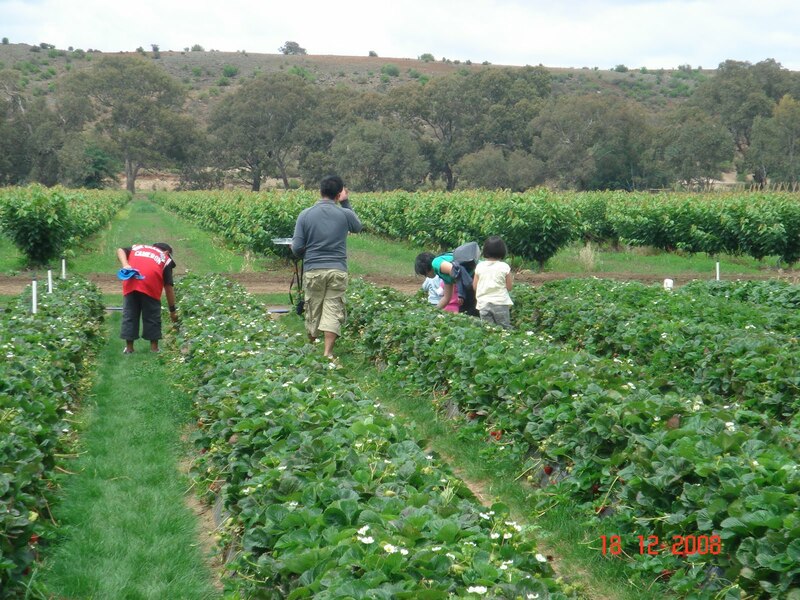 Cherry and strawberry picking in Bacchus Marsh. My family loves to go cherry picking in Summer. 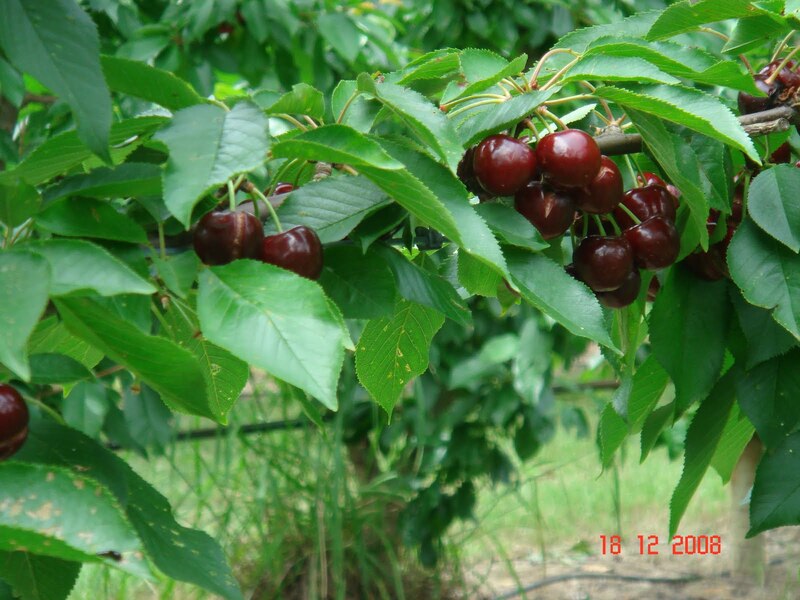 We used to go right across to the other side of town to Red Hill to do it, however we discovered cherry picking only 20-30mins away from us in Bacchus Marsh. Oh the joy! 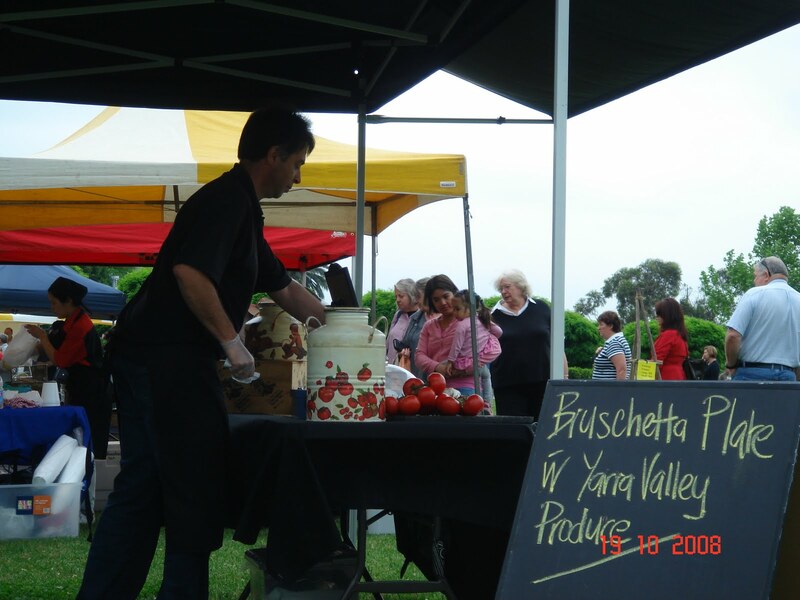 Yarra Valley Farmer’s Market at Yering Station. 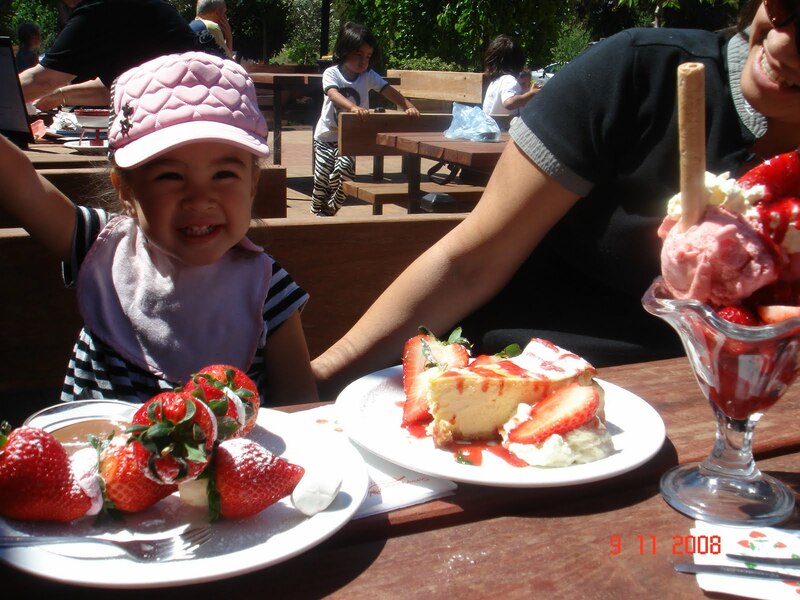 Sunny Ridge Strawberry Farm. We make the pilgrimage every year. 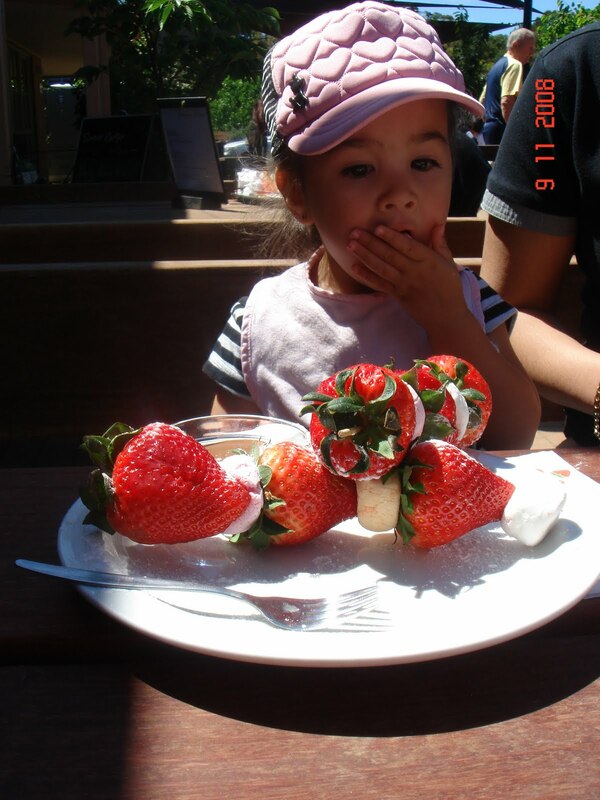 Strawberry Kebab from the children’s menu. I hope to keep my blog updated with my food adventures. I hope you keep reading. 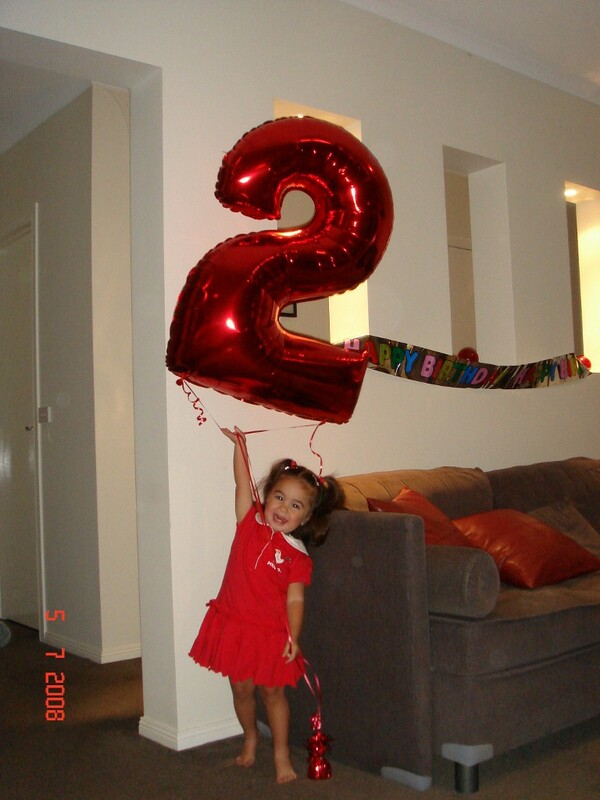 Little One turned two last July…. where does the time go? 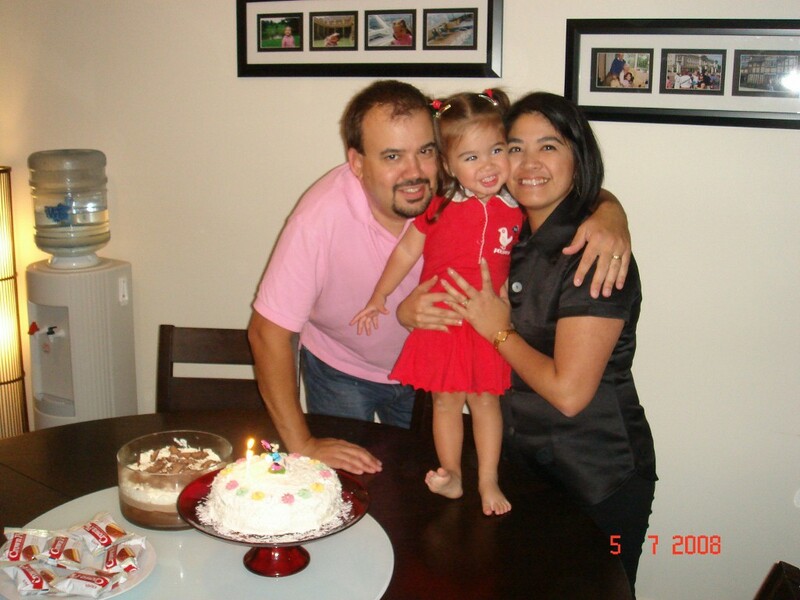 To celebrate we had a party with family. It was a simple affair. Because it was a cold winters night, I decided to cook two warming dishes. The first was a chicken curry. 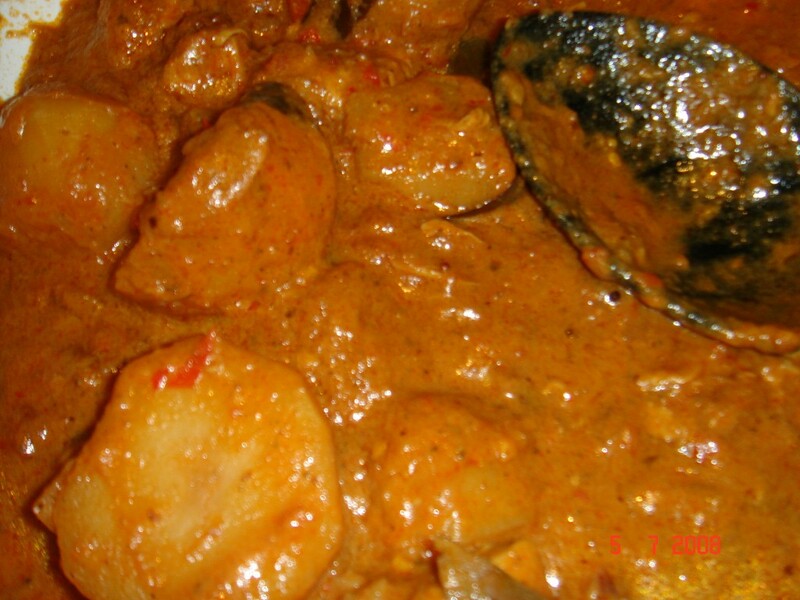 I love curry but that wasn’t always the case as I couldnt handle anything spicy or anything with a slight heat. Thanks to hubby, that has changed. I now cook it very often and I have fine tuned my own version. 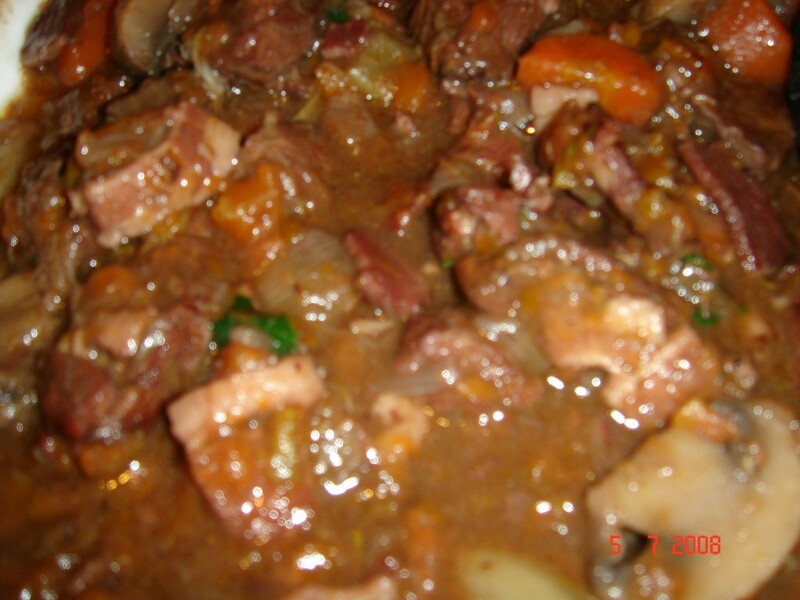 I also cooked beef bourguignon. I got the recipe from a number of sources. I used different steps from different recipes. I like to chop and change a lot of my recipes to suit me and my pantry. 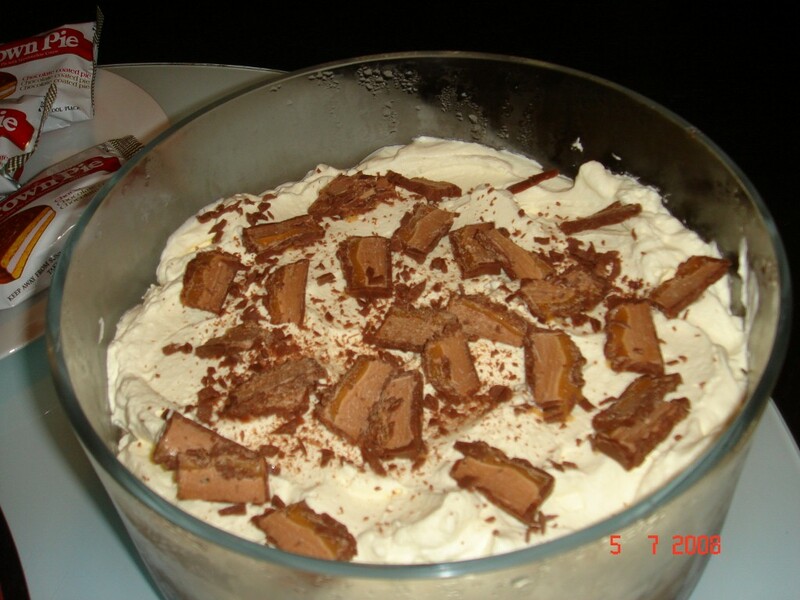 For dessert, I made a Mars Bar Trifle. Sounds delicious, doesn’t it? And it was. 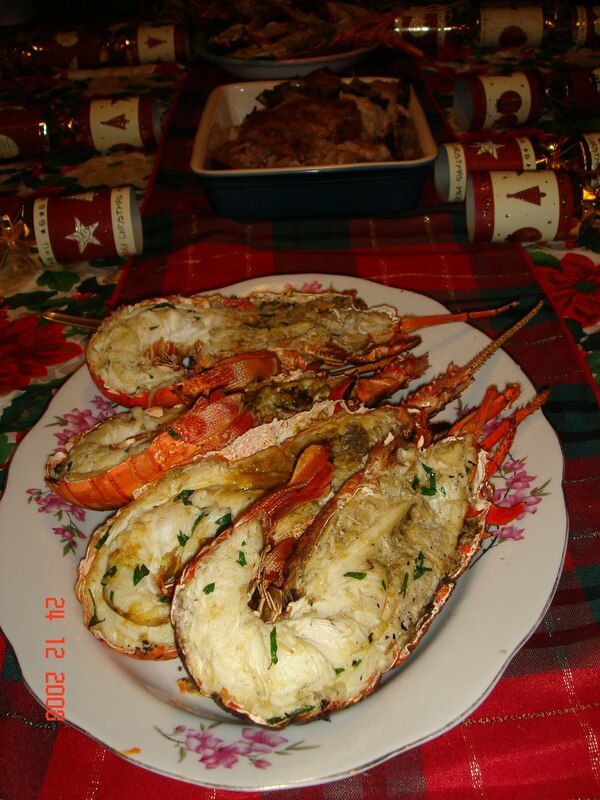 I got the recipe from a newspaper magazine when I was in England. It’s simple to make but you have to be prepared as you need to start it early (or the day before) as you need to let each layer set before doing the next step. I changed the recipe slightly. The original recipe had coffee jelly in it but since Hubby doesn’t like coffee (I know, what’s wrong with him, right? ), I substituted it with chocolate jelly. It actually worked well and it looked great. If anyone wants the recipe please leave a comment. The birthday cake was from Nigella Lawson’s Feast. It was a tropical chocolate cake. The cake has pineapple in it however because it was pureed we couldnt taste it. I think if I make it next time, I will put pineapple pieces in it as well so we can taste it. I guess what gave it the tropical taste was the stickky coconut icing. Since our trip to HongKong DisneyLand, the Little one is into the Disney characaters at the moment so I couldn’t resist placing a Minnie Mouse on top.